Agrotourism and ecotourism units are for you. 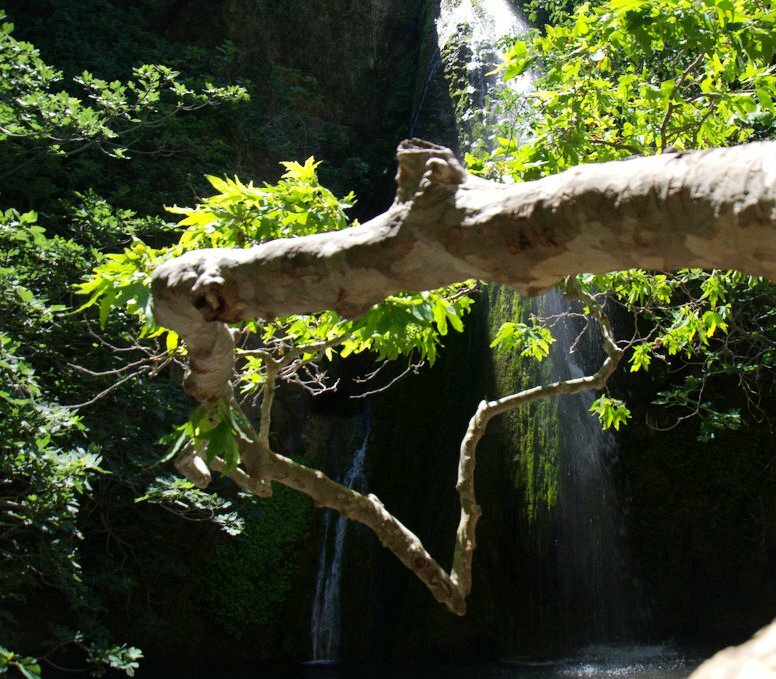 Alternative tourism in Crete poses a challenge to the visitor: To match the contrasts, discover the lights and the colours, the dream, the unique endemic plants, the miracle of the Cretan diet, to experience the magic of a culture based on special codes of behaviour. 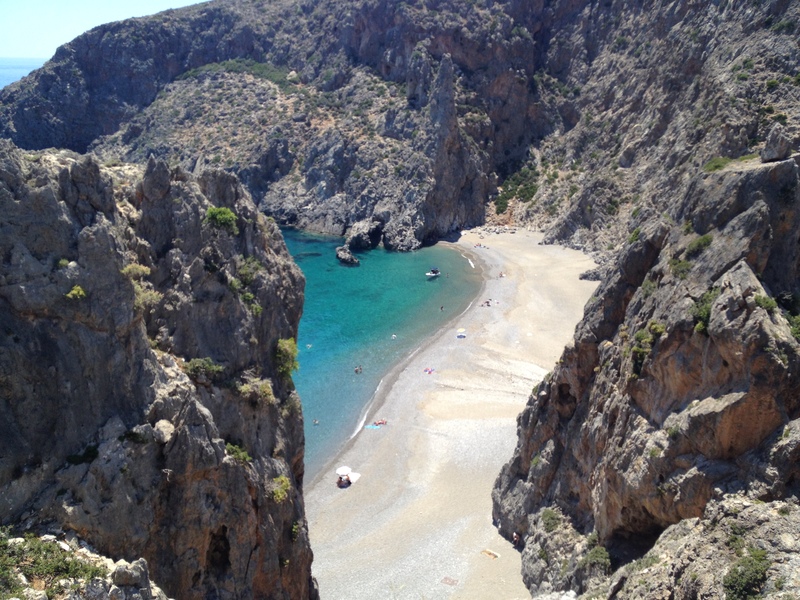 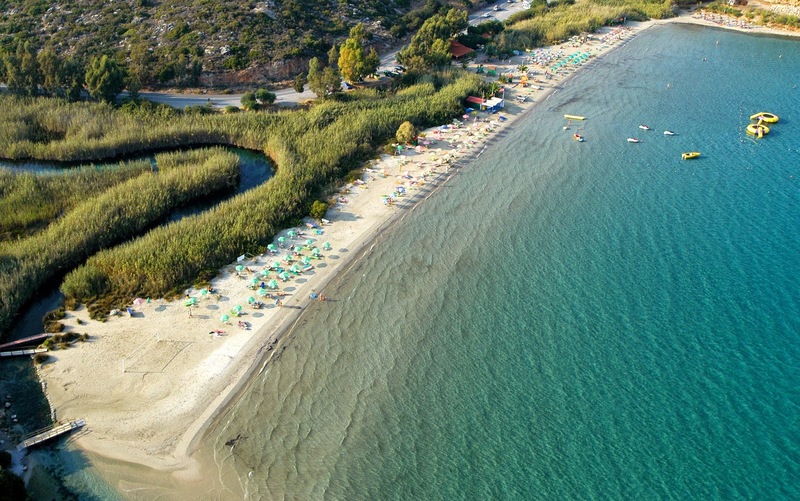 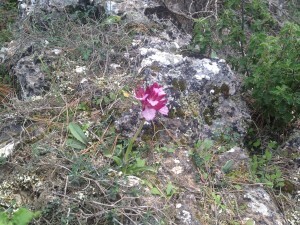 For nature lovers, the unique nature of Crete will seduce you. 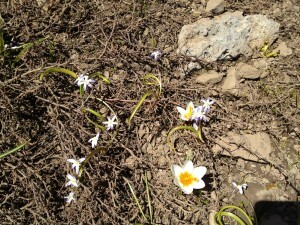 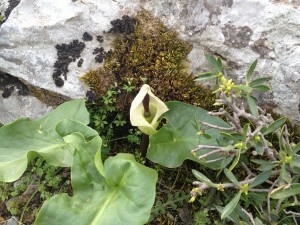 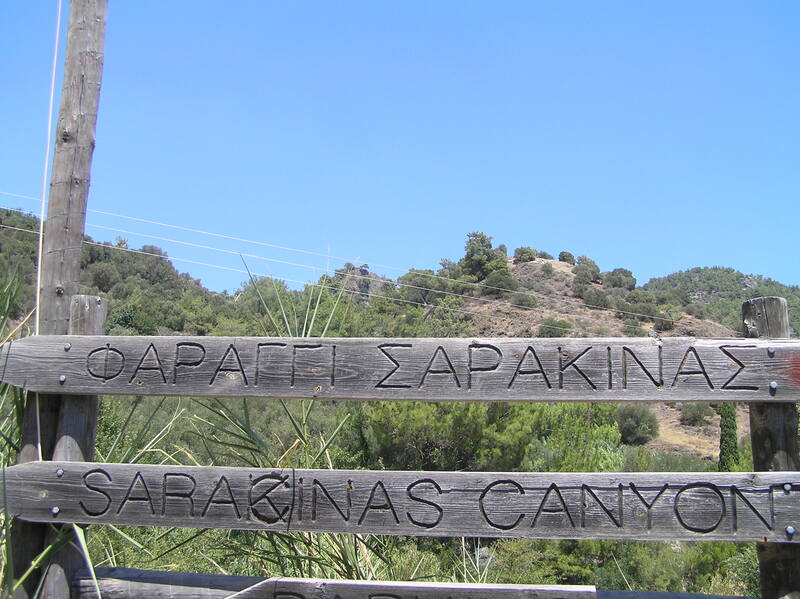 There are many trekking paths for you to follow and explore the flora and fauna. The imposing mountains of Crete promise exciting experiences of hiking, climbing, hang-gliding , crossing of gorges and exploration of caves. 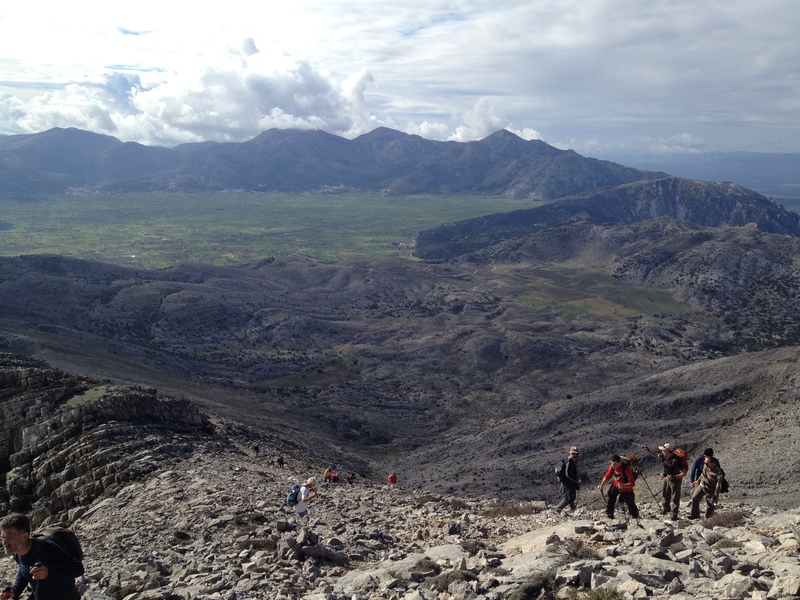 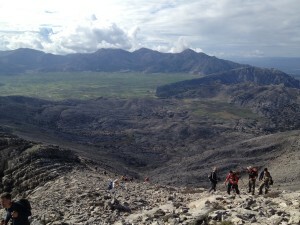 We suggest experienced mountain guides , teams organized for hiking, climping and exploring the surrounding areas. 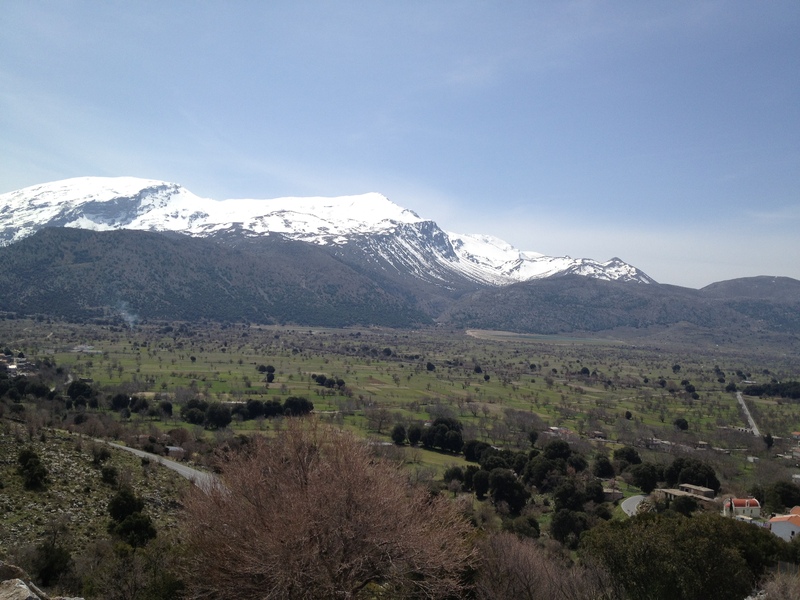 We can provide you with a special map of our area with all the routes, and we can also inform you about anything else you need. 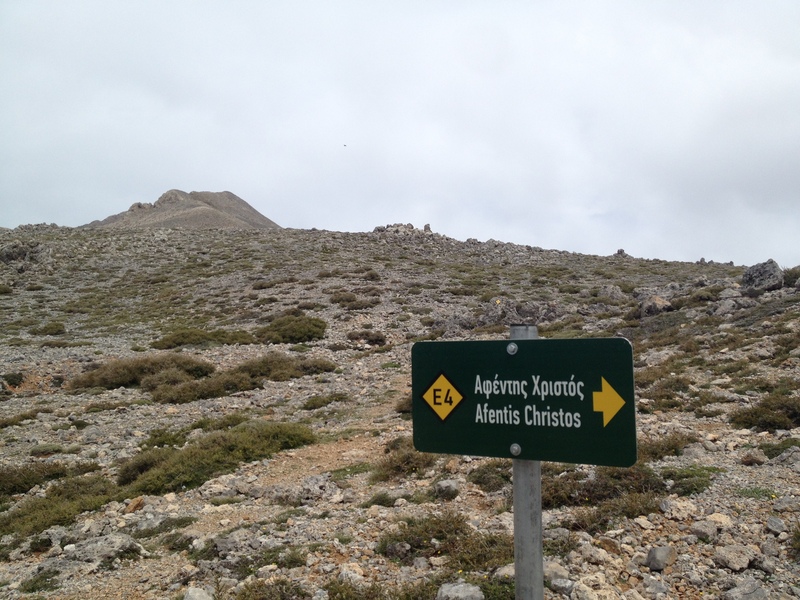 For our visitors that are lovers of hiking , there are many interesting and passable paths, signed with red or yellow signs. 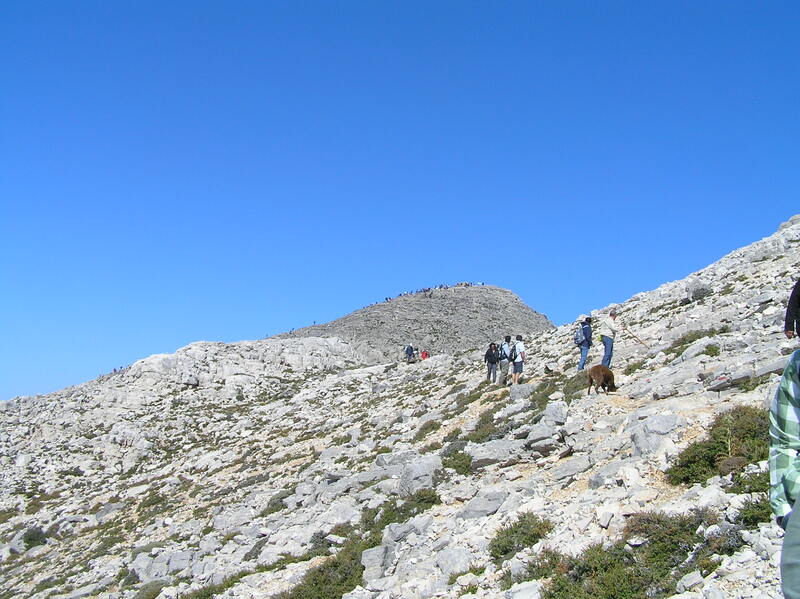 Except from walking through the European Path E4 in mountain range Dikti , there are trekking routes of gradual difficulty – varying from very easy to very demanding ones – which you can enjoy. 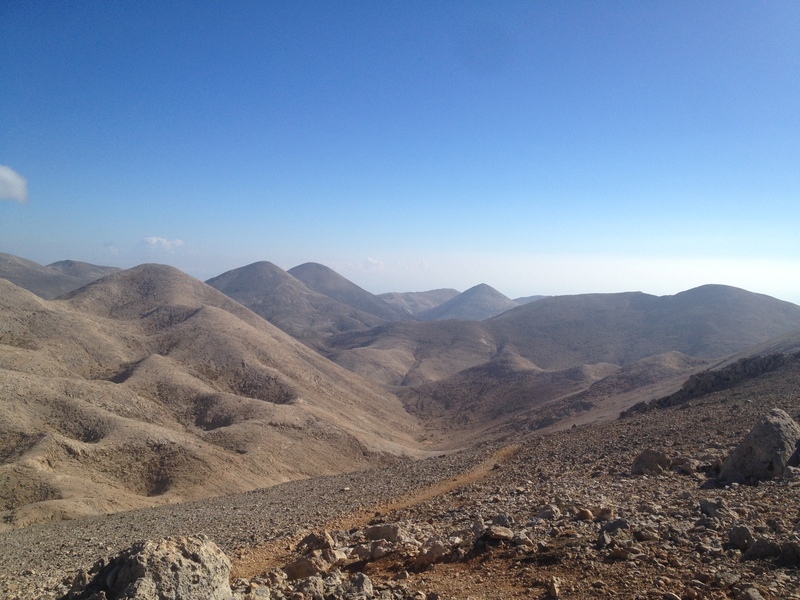 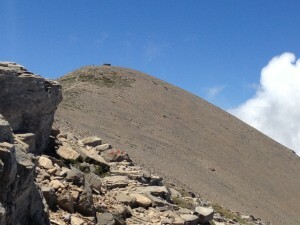 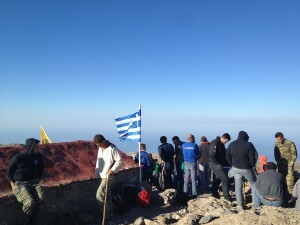 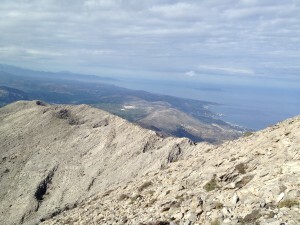 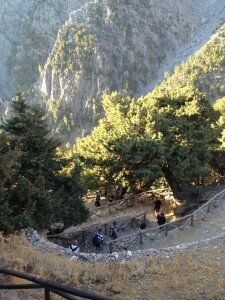 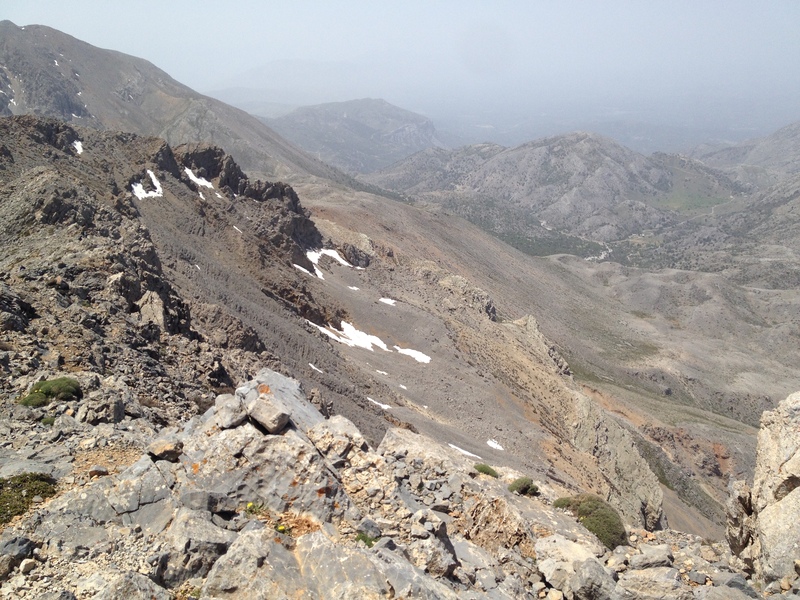 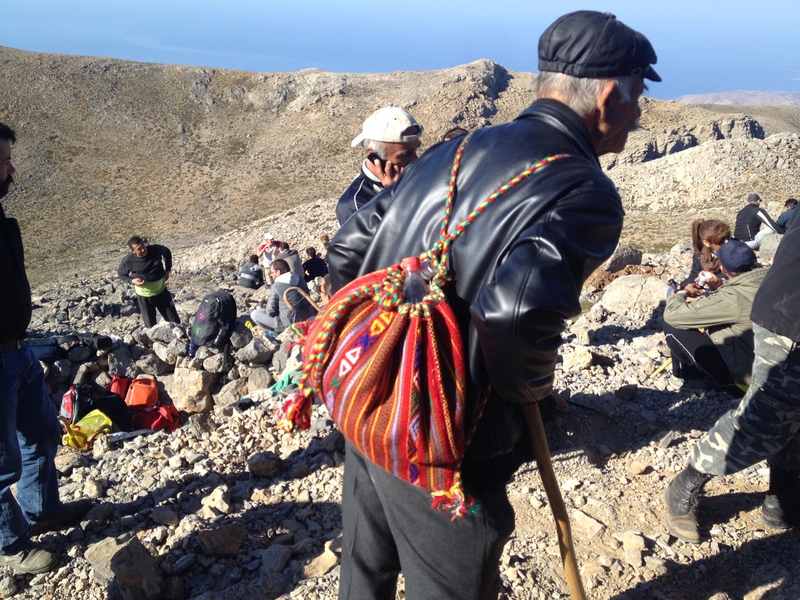 Yannis is Marathon runner- trekking fanatic and he has climbed all the Cretan mountains and other such Olympus. 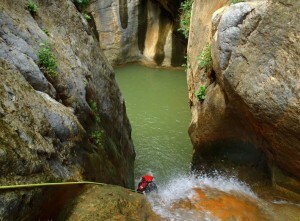 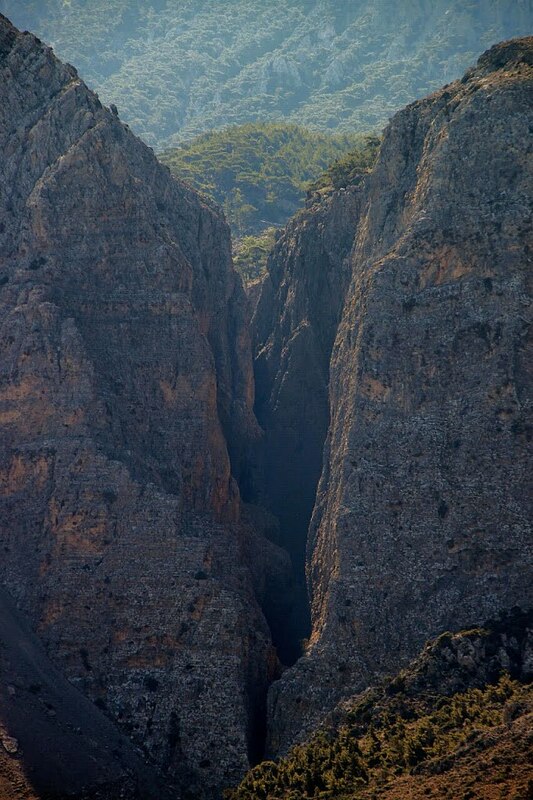 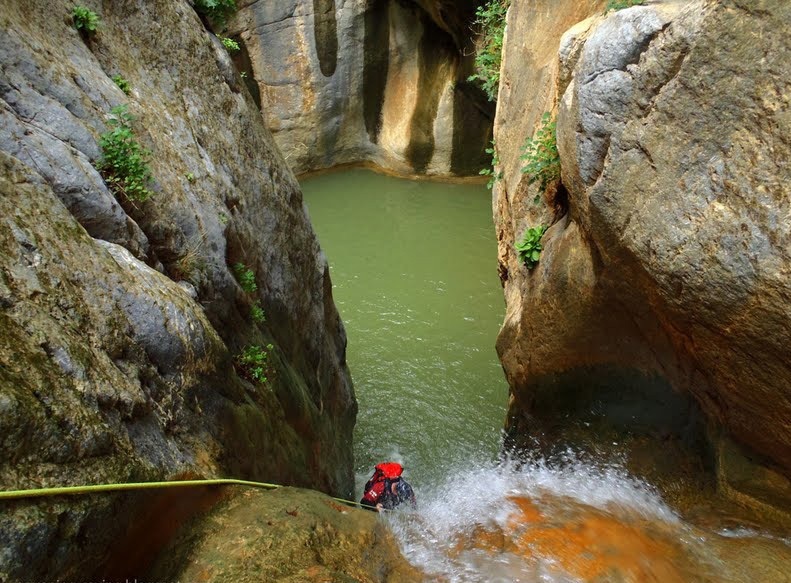 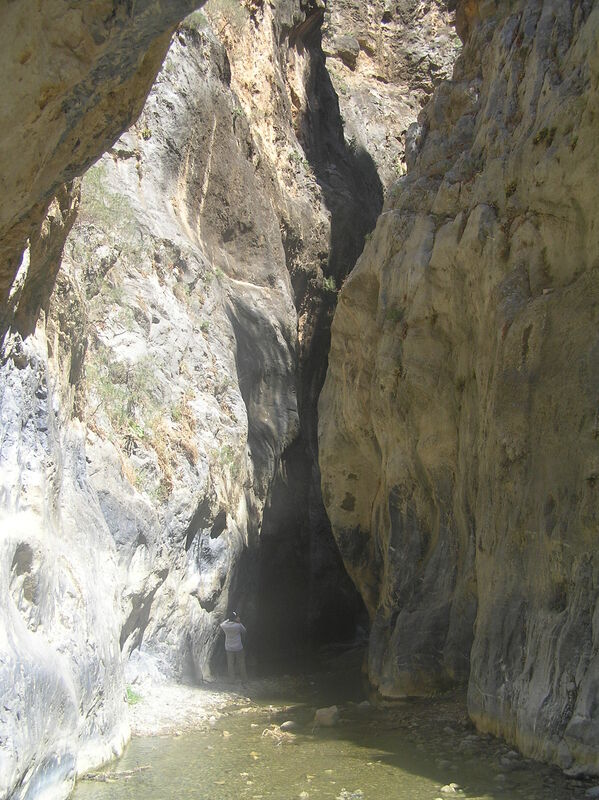 CANYONING For the adventure lovers, the most extreme canyoning experience in Greece is here in Crete. 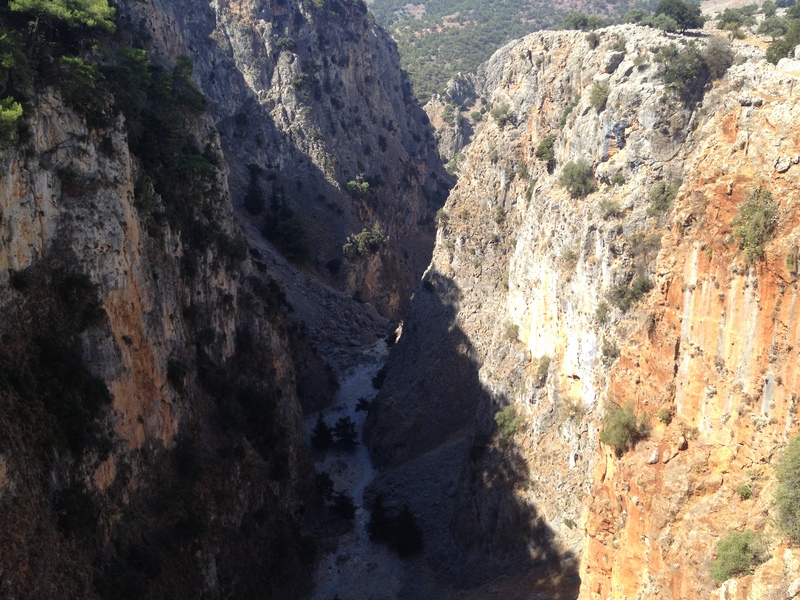 Close to our villas Kritsa , Ha , Sarakina, and Rihtis gorges. 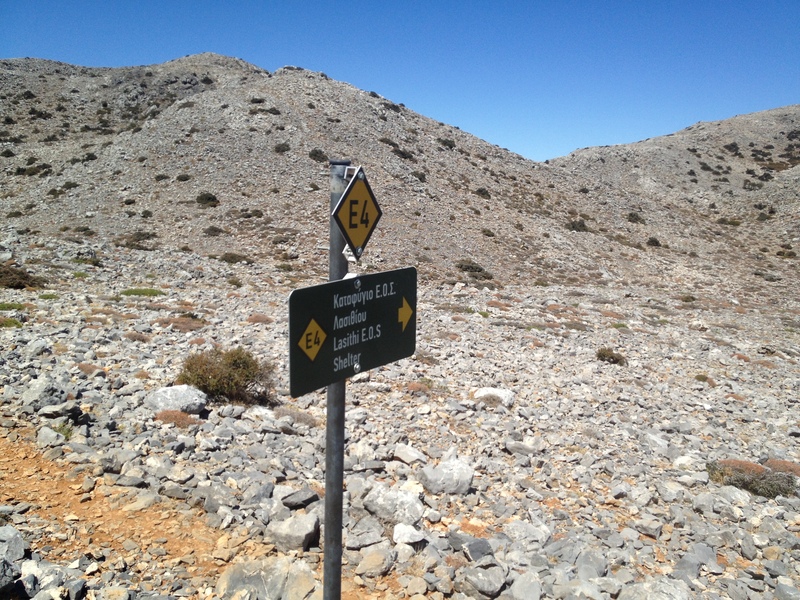 BIKING There are opportunities of riding, mountain biking or even renting a vehicle for explorations beyond the common routes . 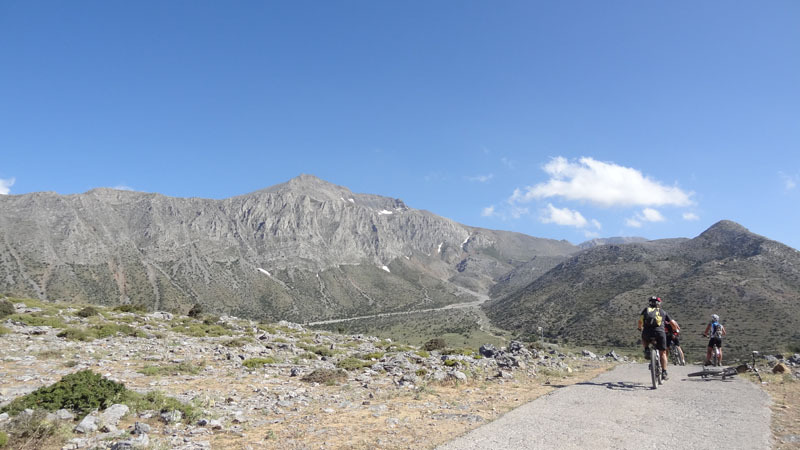 Crete Biking offer cycling on dirt roads, old trails and isolated asphalt roads in Crete , to visit traditional villages and mountainous and coastal areas. 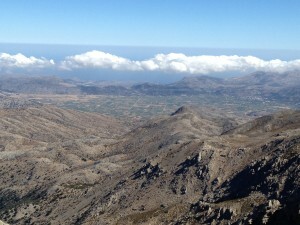 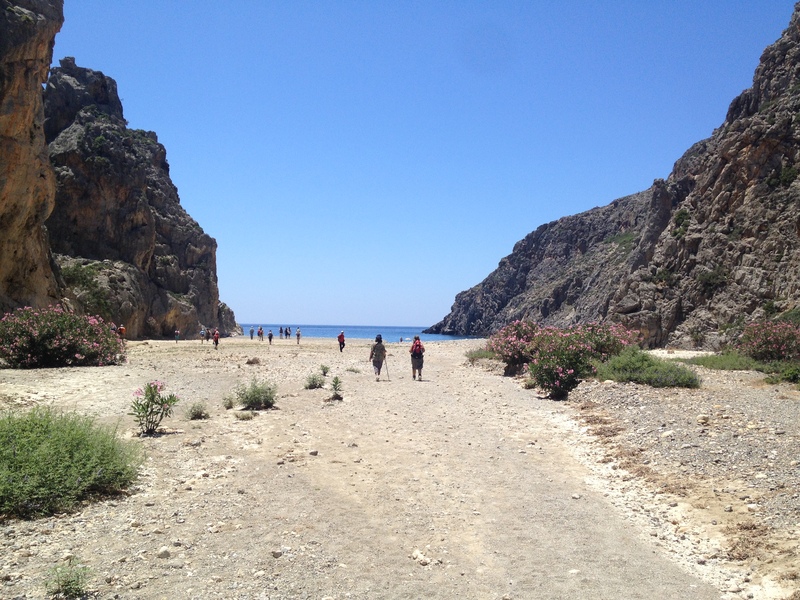 Enjoy the spectacular views and smells of Crete, the island of contrasts! 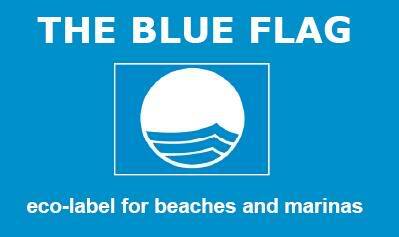 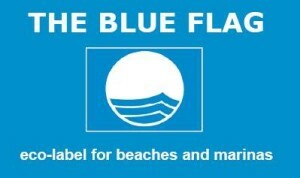 You can visit several awarded beaches with blue flags nearby our facilities, with all sorts of water sports. 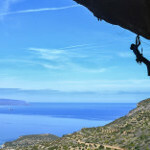 There are many sports and fun activities so you will never be bored!! 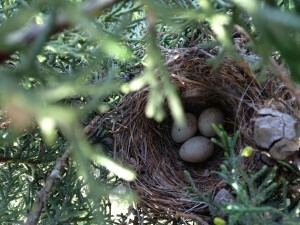 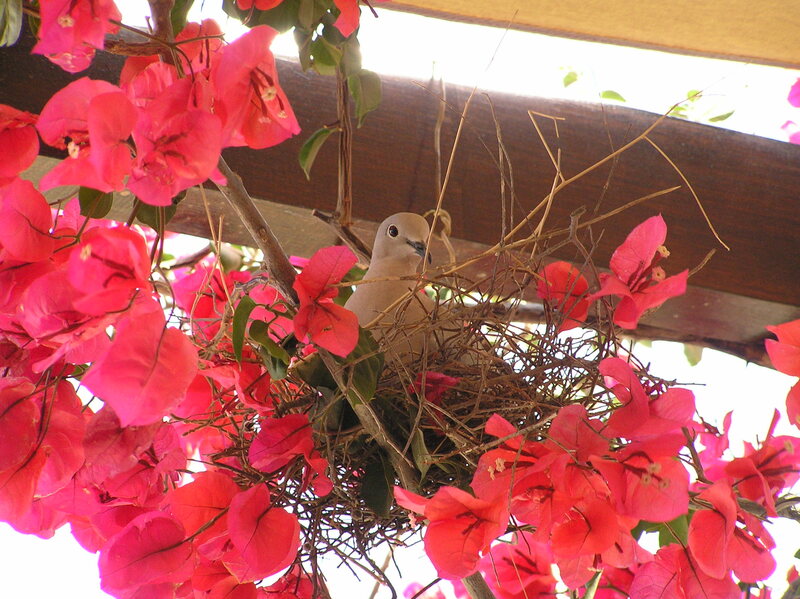 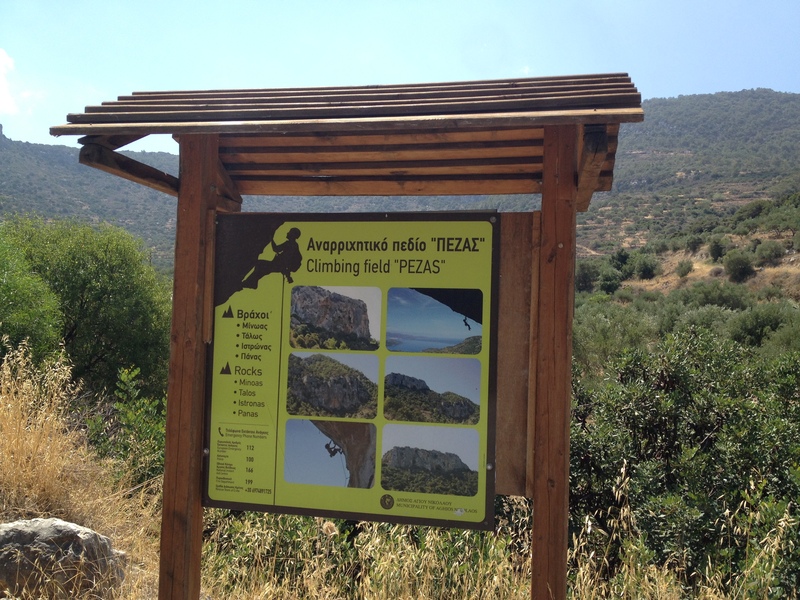 BIRDWATCHING Admire the natural beauty and the birds of Crete . 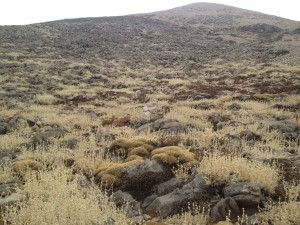 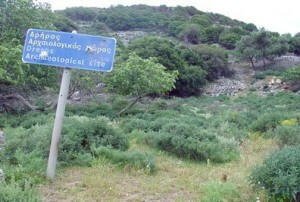 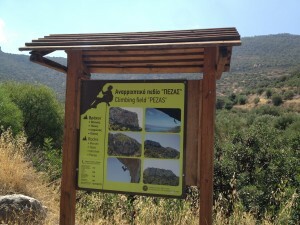 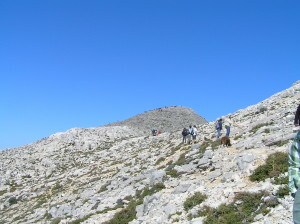 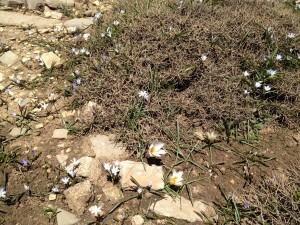 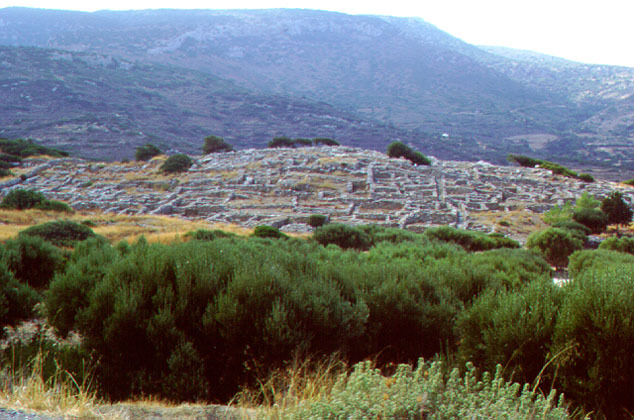 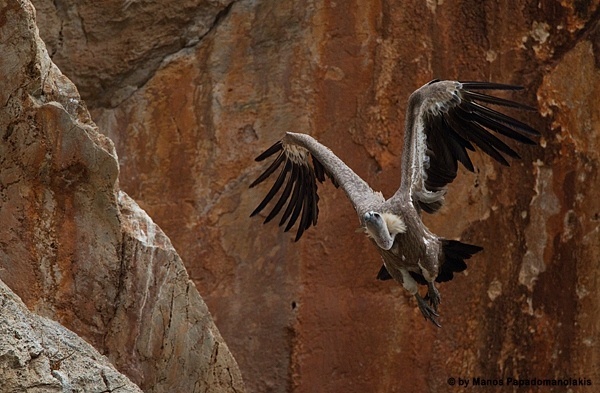 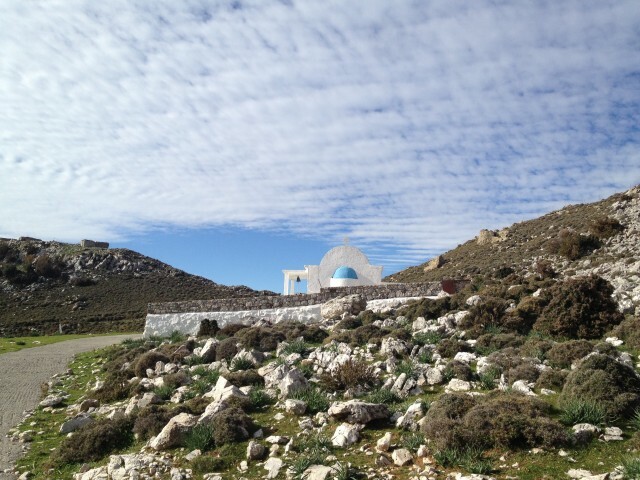 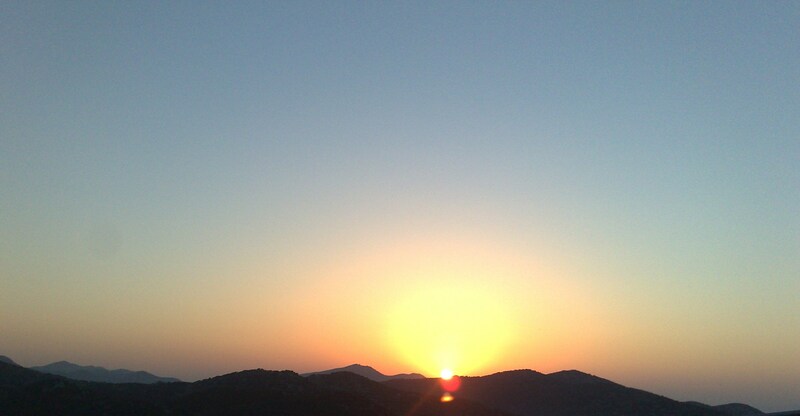 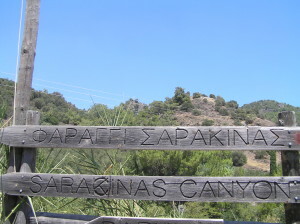 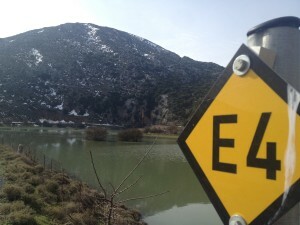 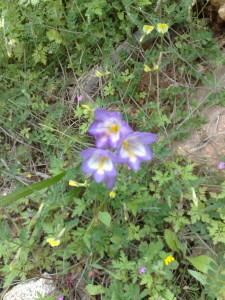 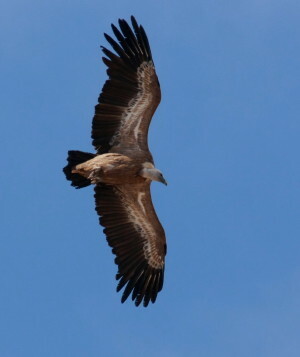 Lasithi Plateau is an important region for bird watchin. 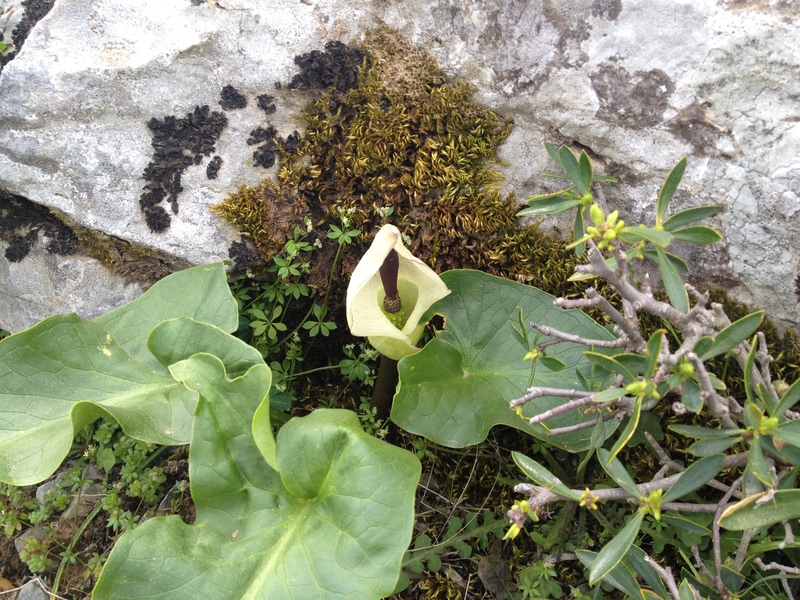 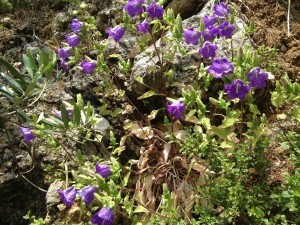 Springtime is the perfect season for walking and you can find botanic beauties that are nowhere else in the world. 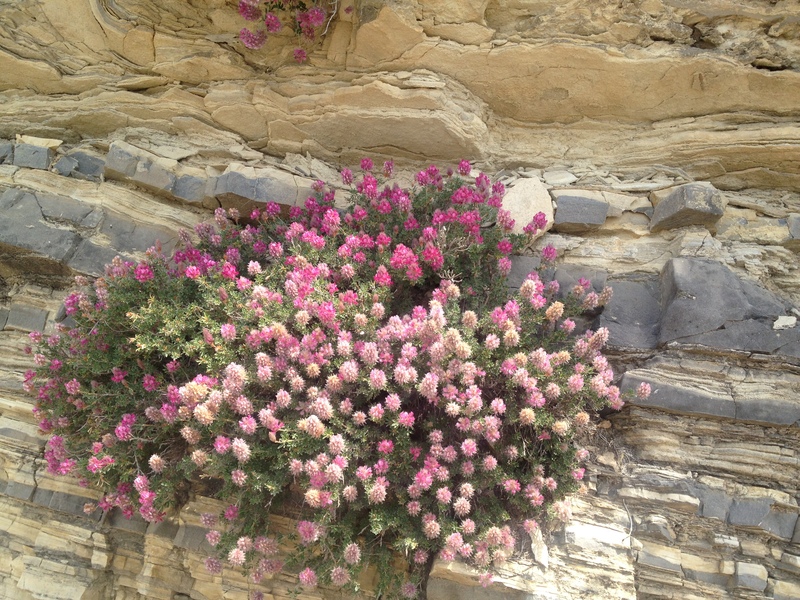 Crete’s geographical position, climate and variety of altitude and terrain ,have blessed this island with a wonderful diversity of flowers and plants. 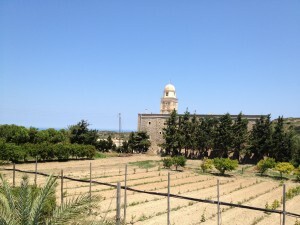 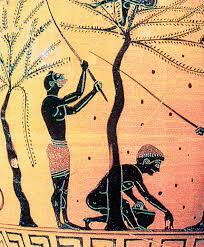 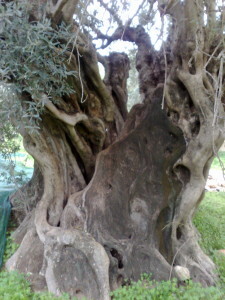 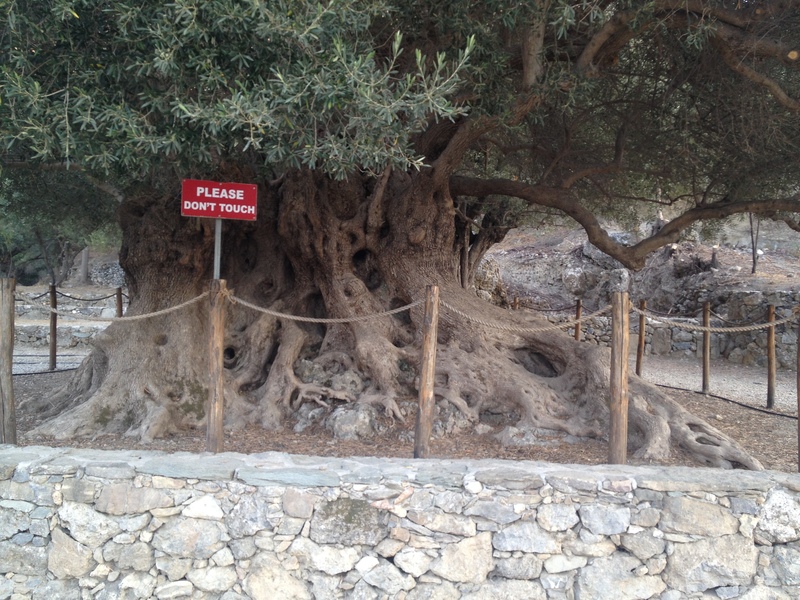 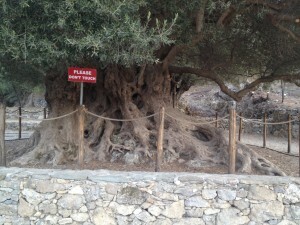 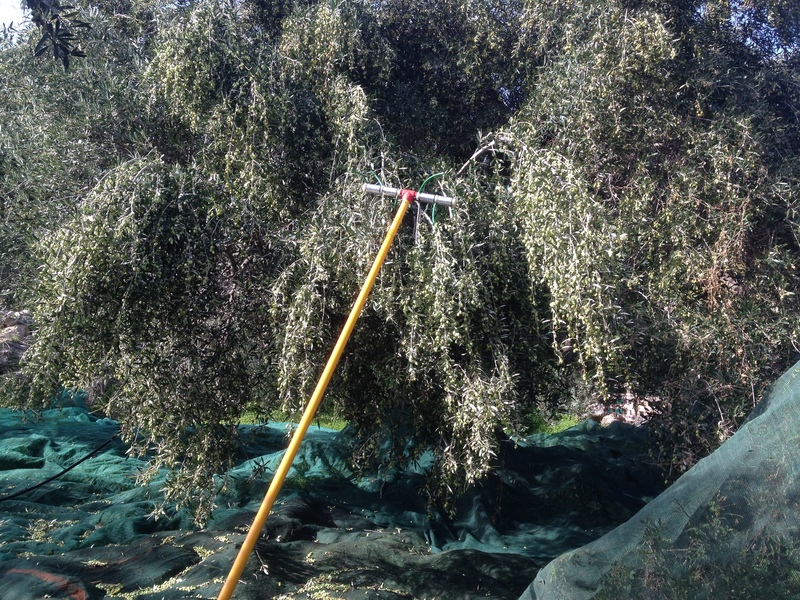 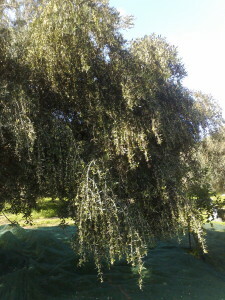 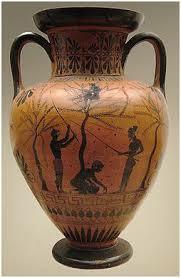 The island is rich with chestnut, oak, cypress, palm, cedar trees and unnumbered olive trees. There are also more than 140 different kinds of plants and wild herbs that are endemic which means that do not exist in any other place. 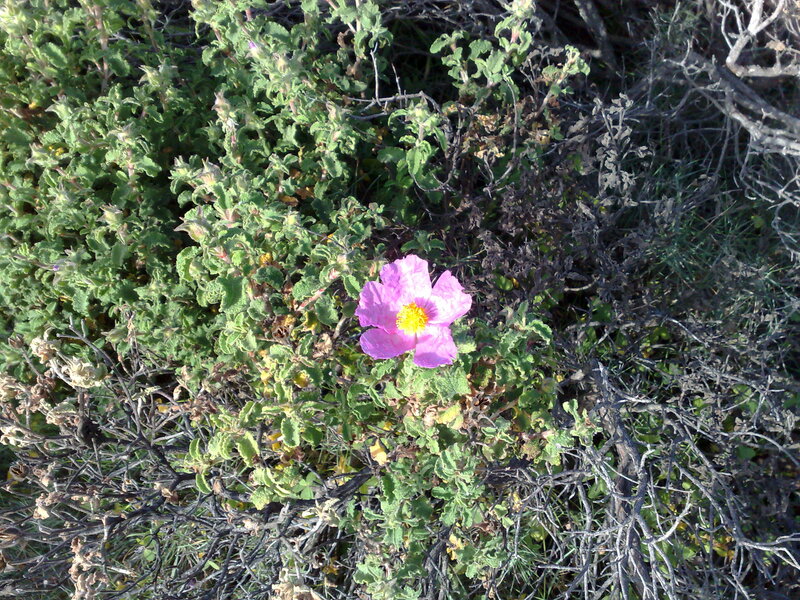 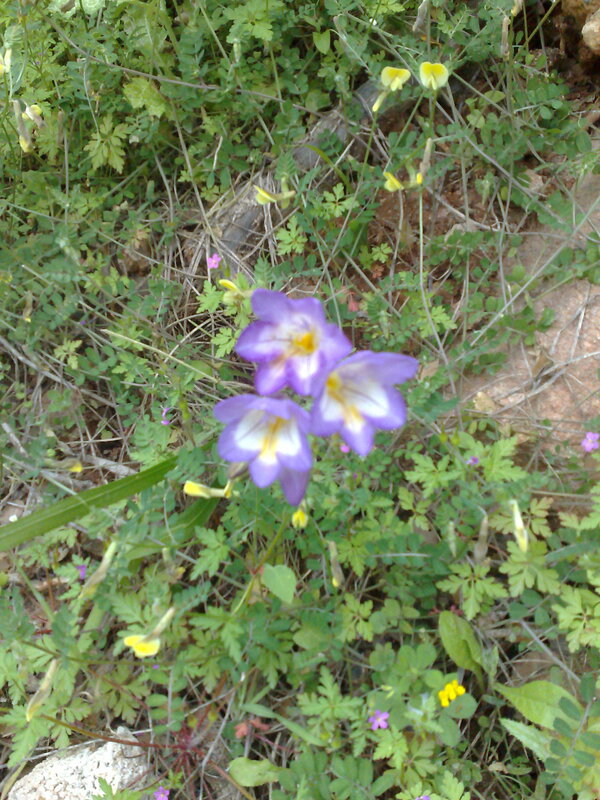 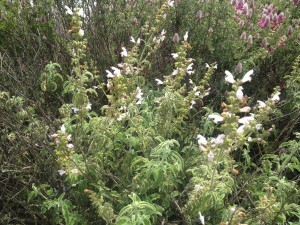 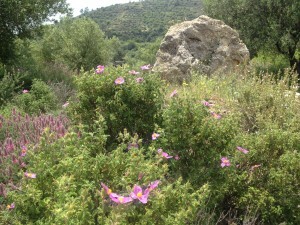 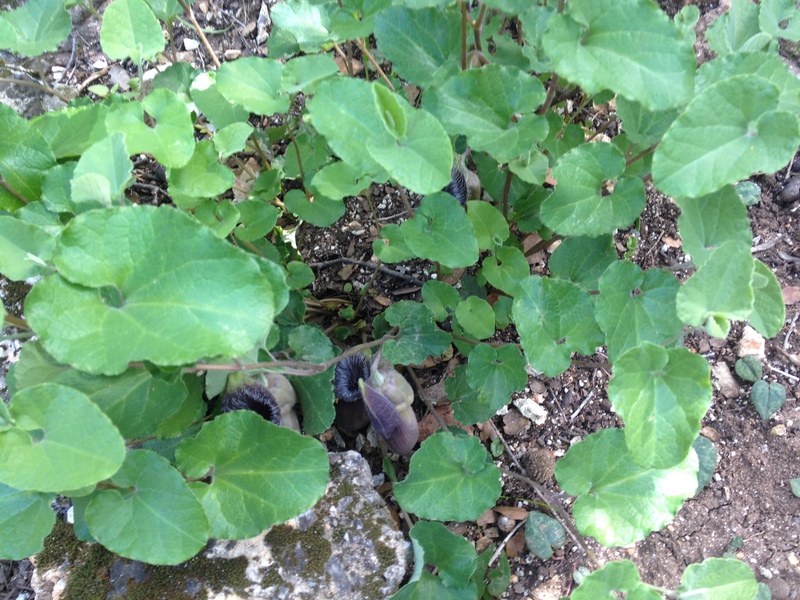 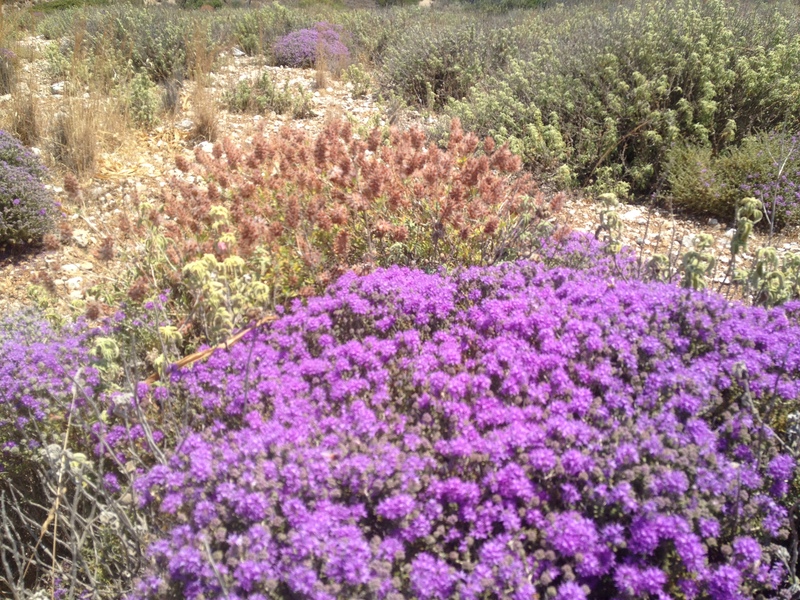 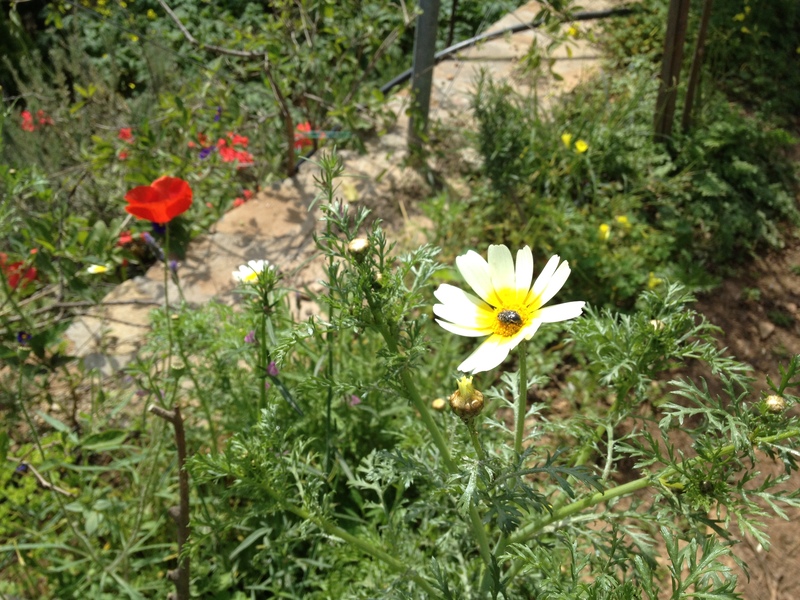 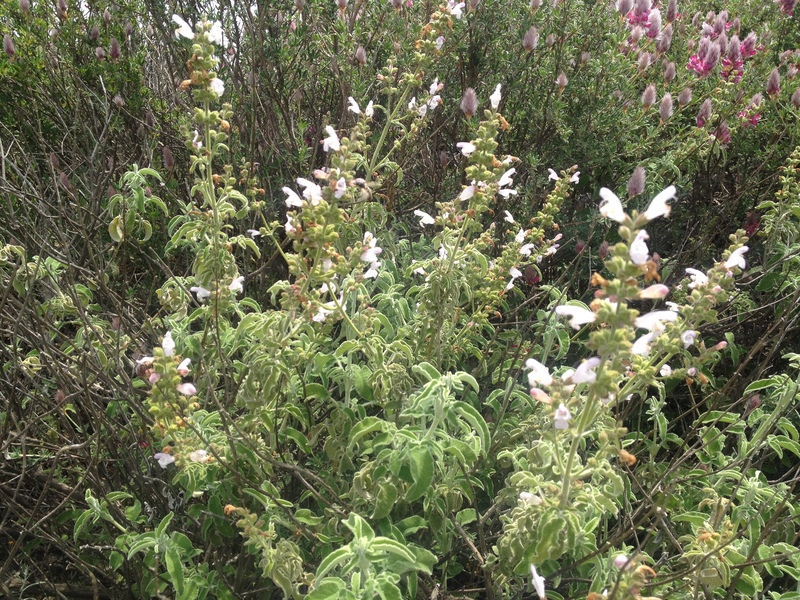 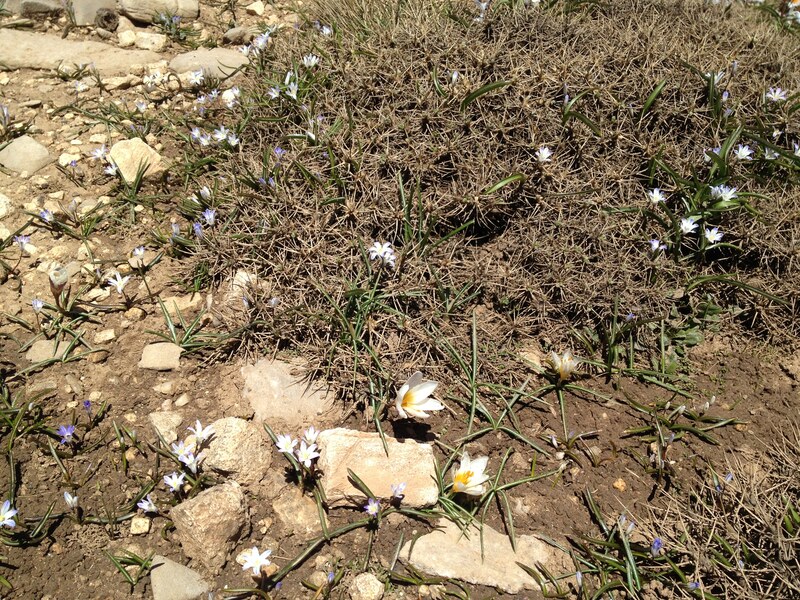 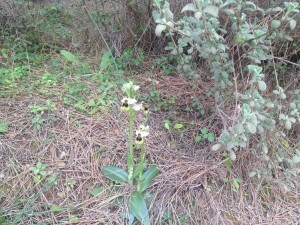 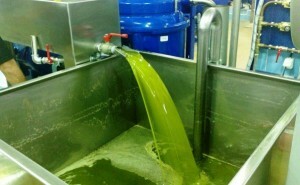 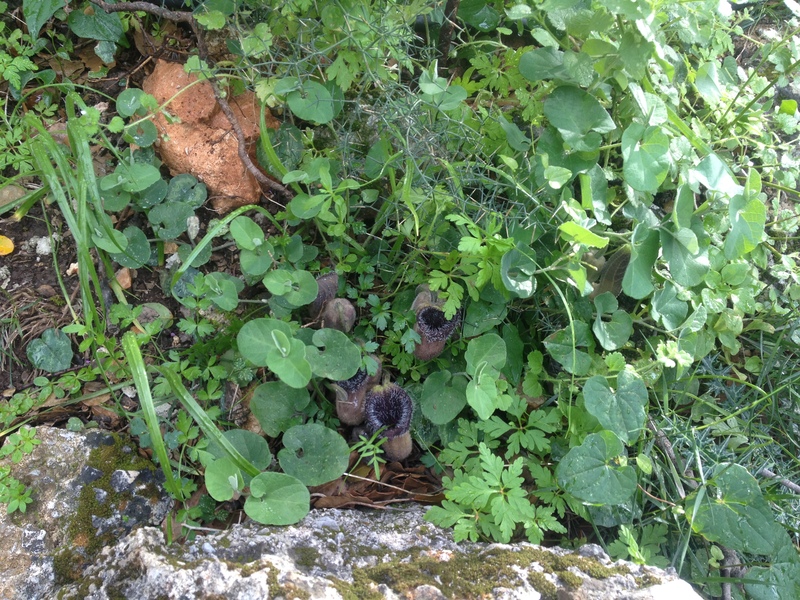 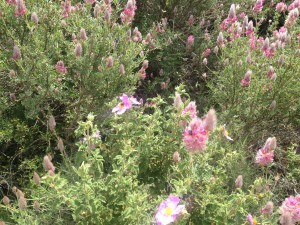 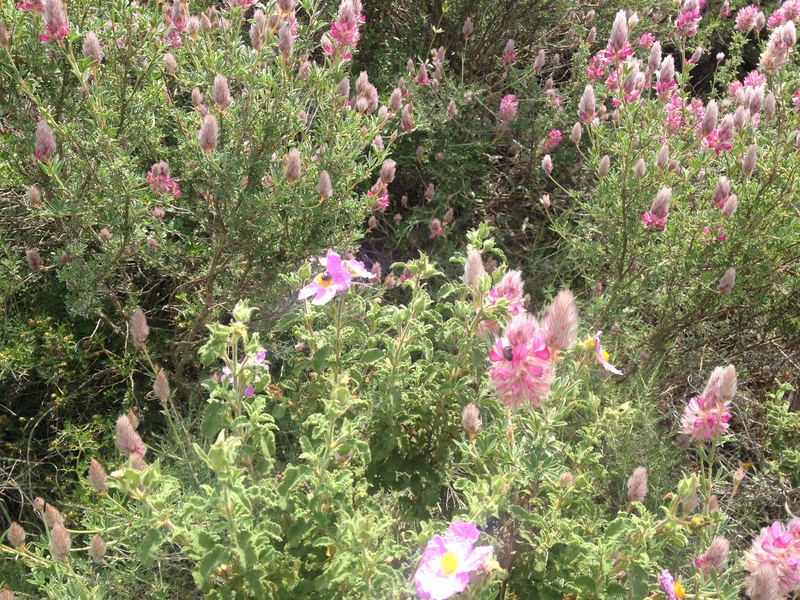 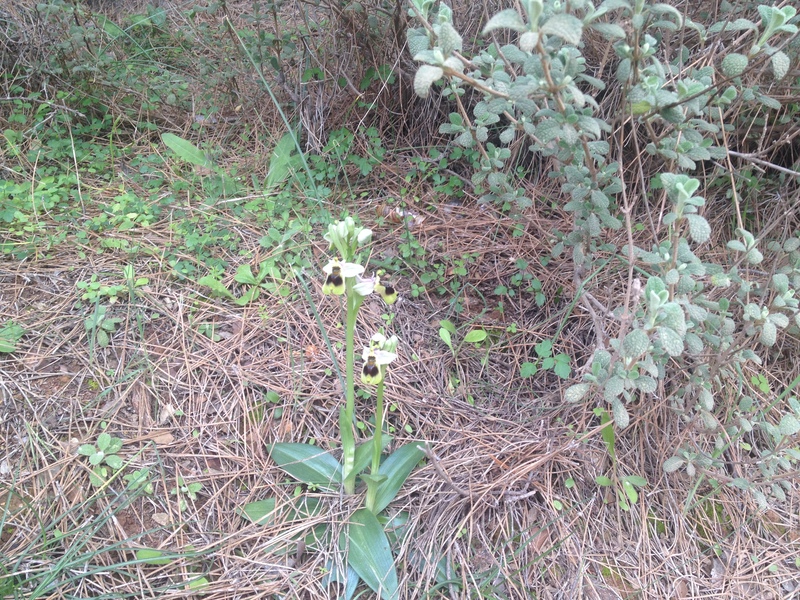 The Cretan flora is especially rich in herbal and pharmaceutical plants like malotira , oregano, thyme and labdanum. 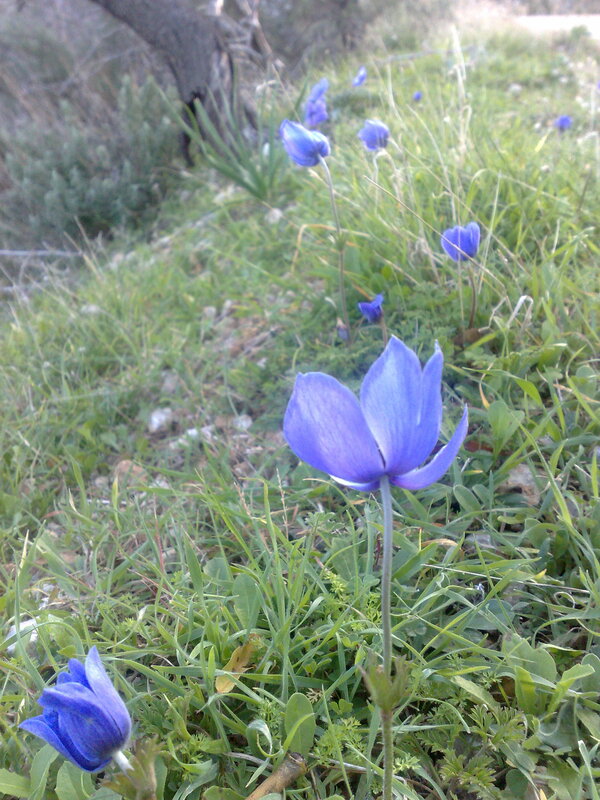 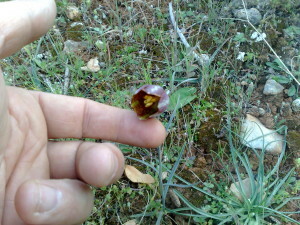 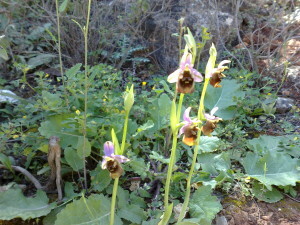 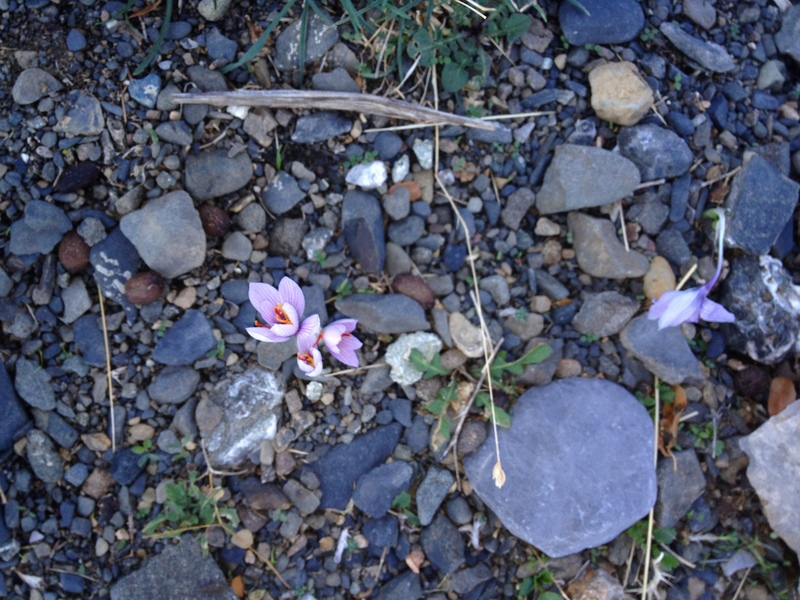 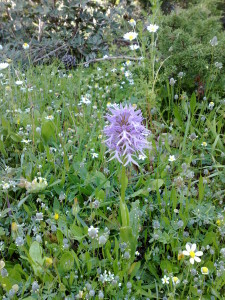 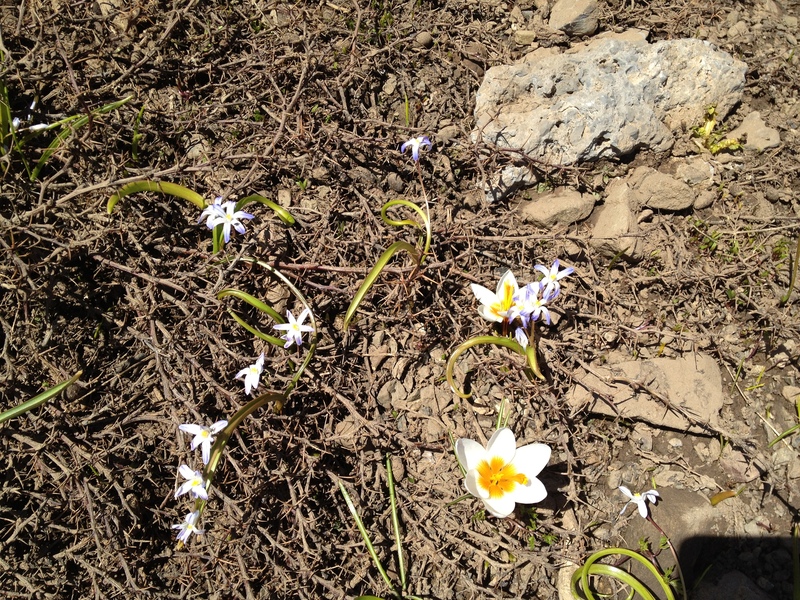 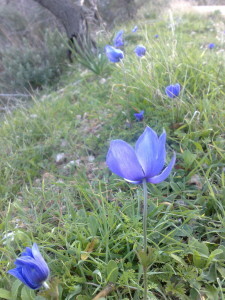 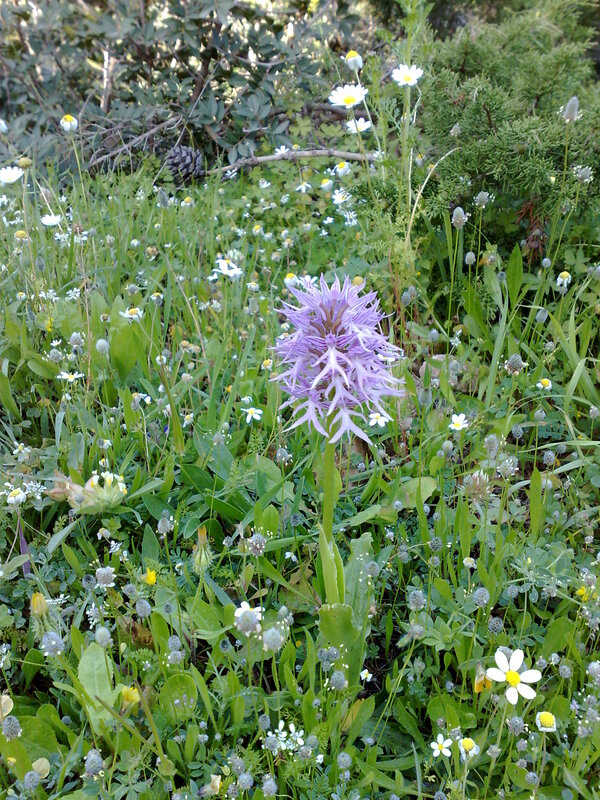 There are also an amazing variety of flowers in Crete, endemic like aristolohia kritica , cyclamen and orchids, habitat of Cretan ebenus, etc.. 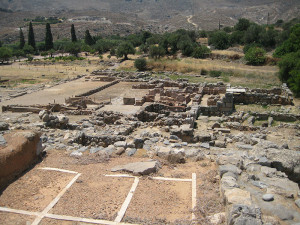 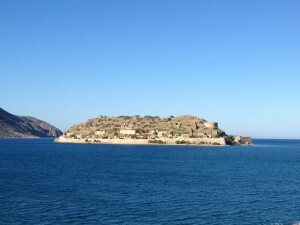 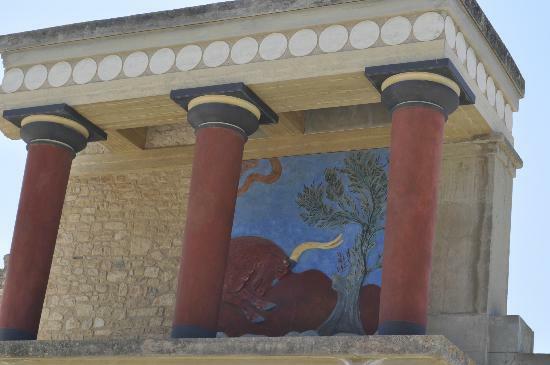 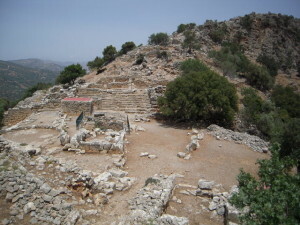 VISITS Minoan settlement and archeological sites Knossos Palace, Dikteo Andro, Malia Minoan Palace, Kato Zakros Minoan Palace Ancient town Lato, Gournia Minoan Village, Driros and Spinalonga island. 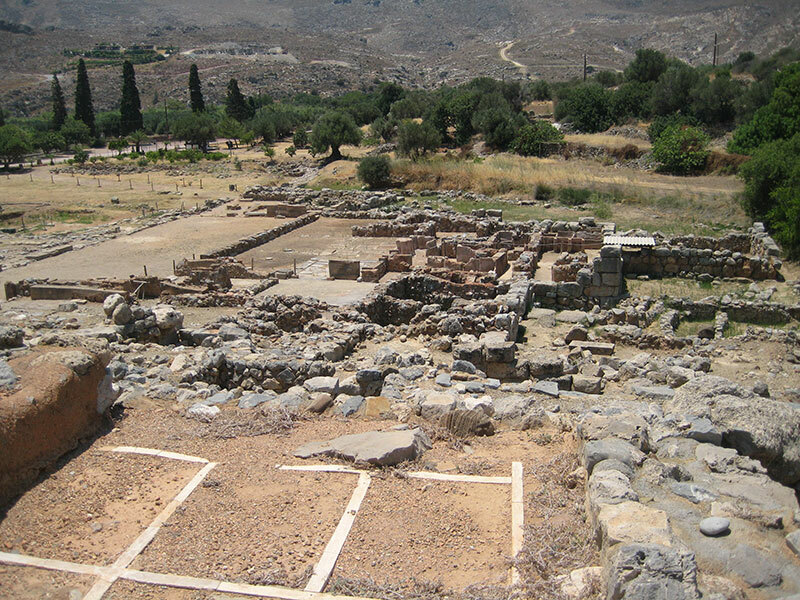 All major museums and archeological sites are open to the public. 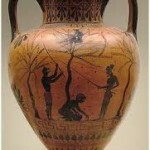 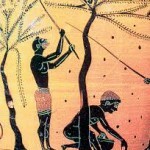 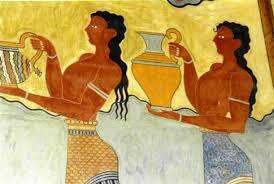 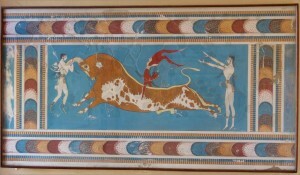 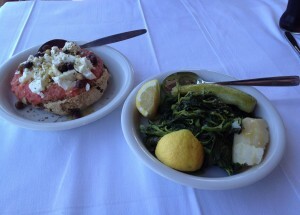 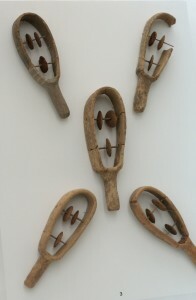 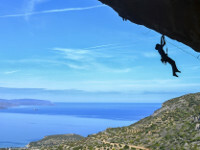 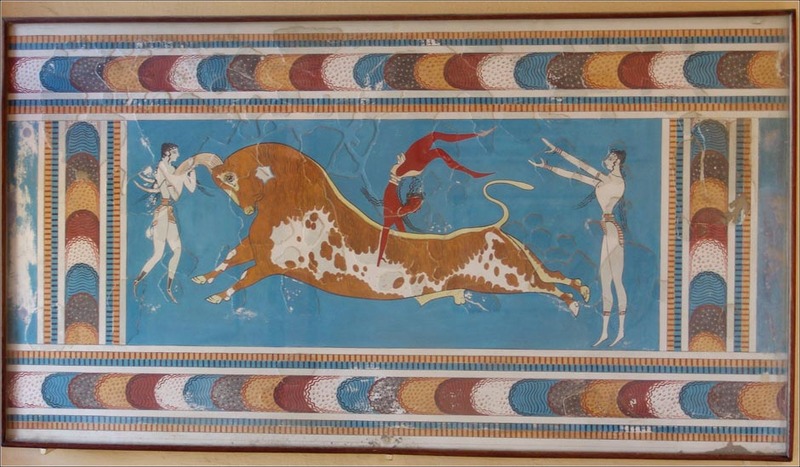 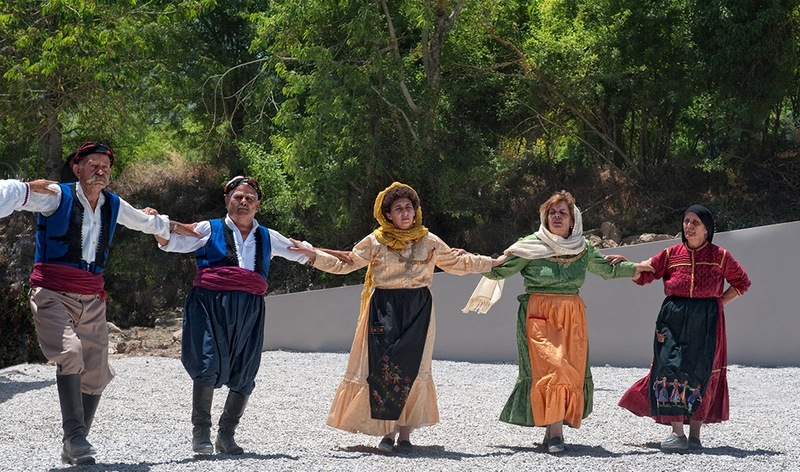 Enjoy the real Crete in a lighthearted way and learn more about its people, history and culture. Visit numerous monasteries, churches, hermitages and unique artifacts of religious art (such as Byzantine icons, wood carved altar screens, ornamental stone carvings, vestments, etc. ) 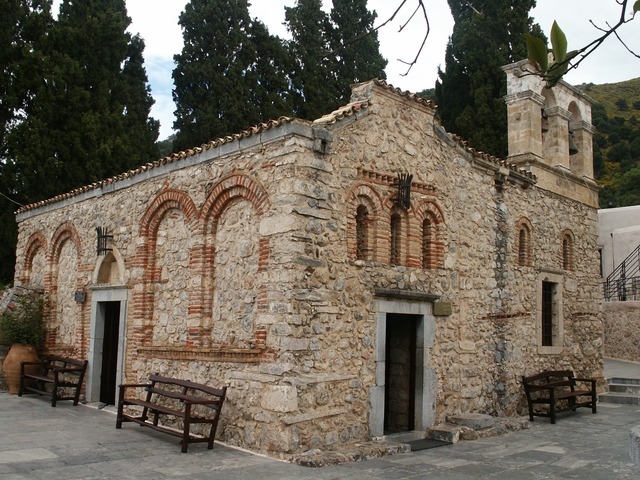 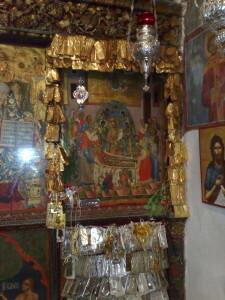 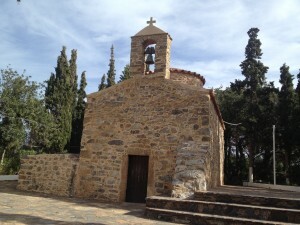 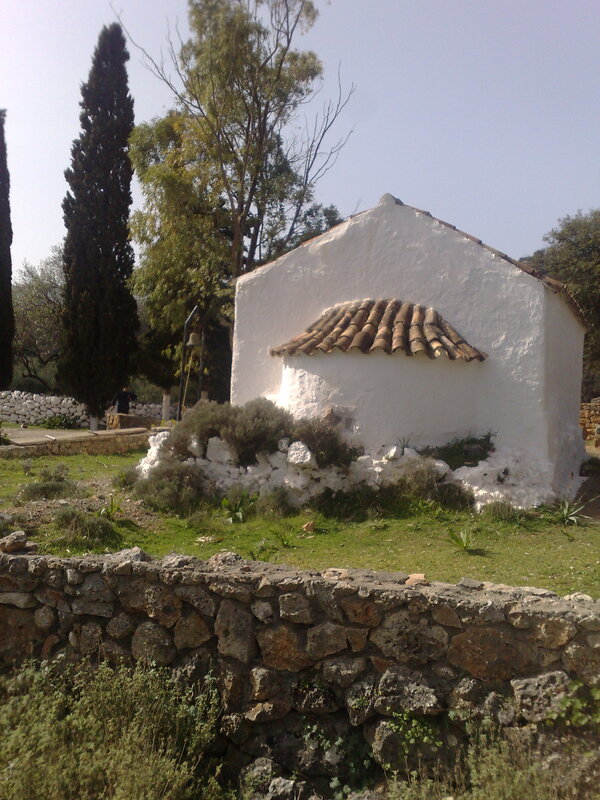 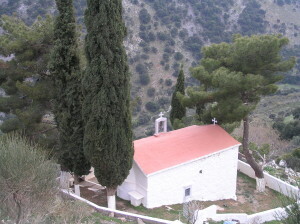 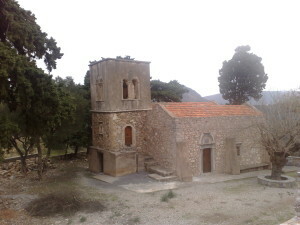 Panagia Kera Kritsa , Kera Monastery in Lasithi, Toplou Monastery . 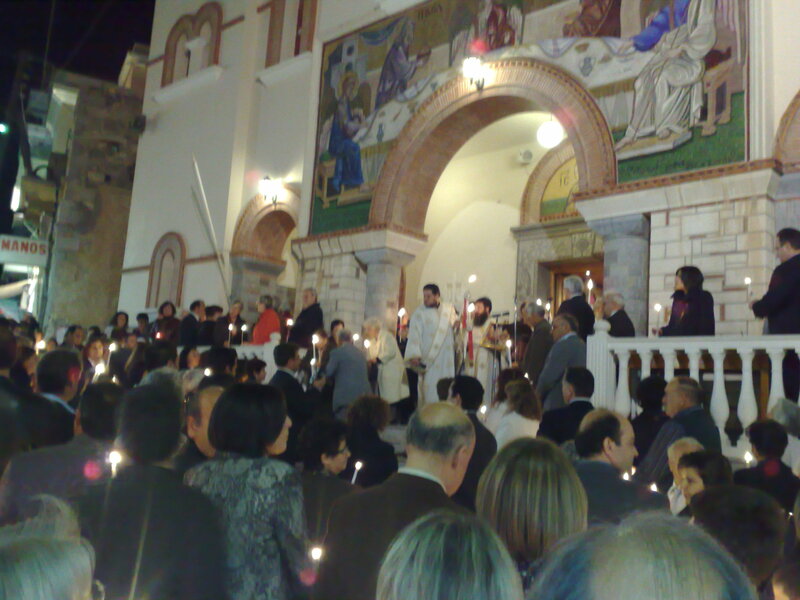 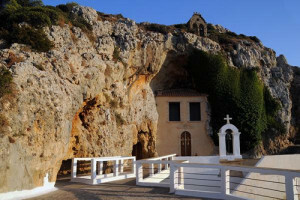 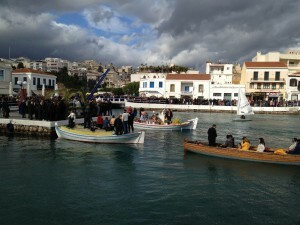 Easter in Agios Nikolaos is perhaps the most impressive in Crete. The faithful start gathering round the lake at 11 p.m. on Easter Saturday in order to get the best positions. 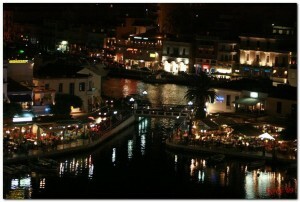 The best view is if you climb up to the small park above the lake of Agios Nikolaos, from where the scene is even more spectacular. 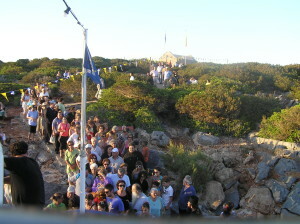 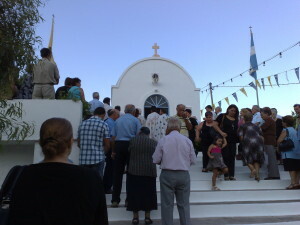 The priests come to the lake from a nearby church around 11:30 and the service of the Resurrection is held on a special platform. 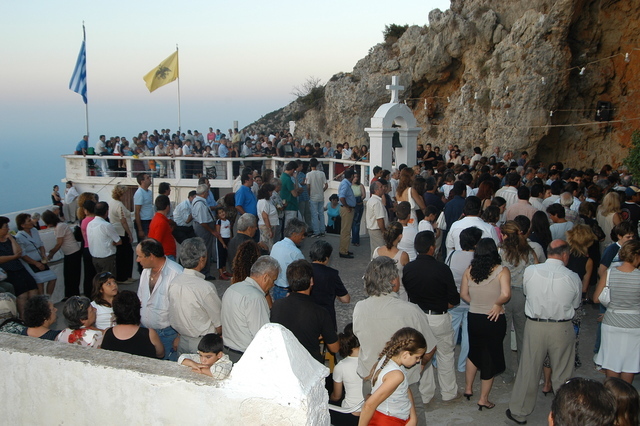 At midnight the chant “Christos Anesti” (Christ is Risen) is heard, and night turns to day as hundreds of fireworks are let off. 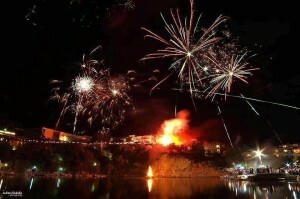 At the same time the effigy of Judas, hanging on a raft in the middle of the lake, is set aflame. 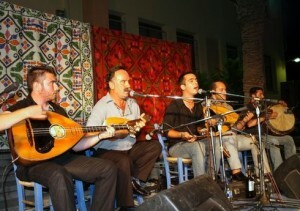 Every summer, the Municipal Cultural Center schedules a series of events under the general title of “LATO” These events feature Cretan, Greek and foreign groups, with traditional or contemporary repertoire. Drama performances, art exhibitions, swimming competitions and other events also take place. 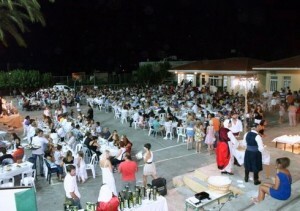 Every two years, the “Nautical Week“is celebrated with swimming competitions, water sports events and a fire works display. 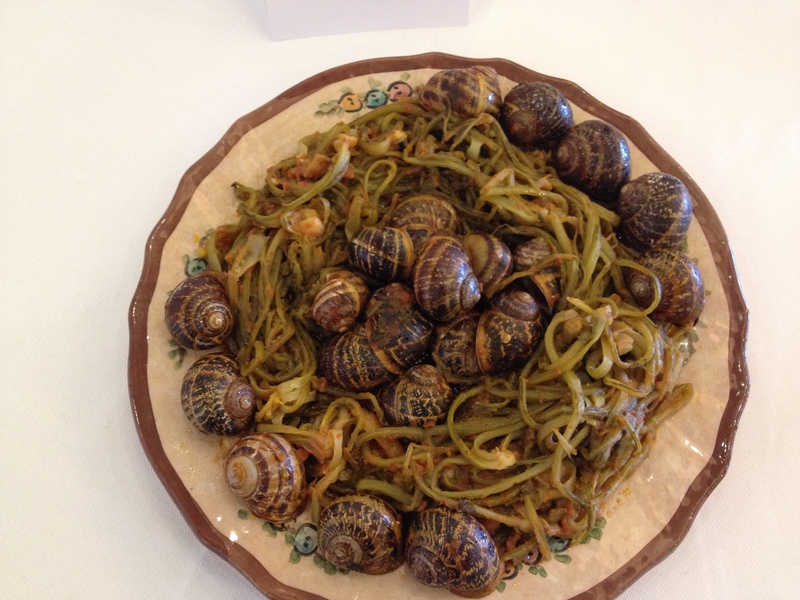 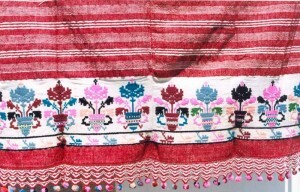 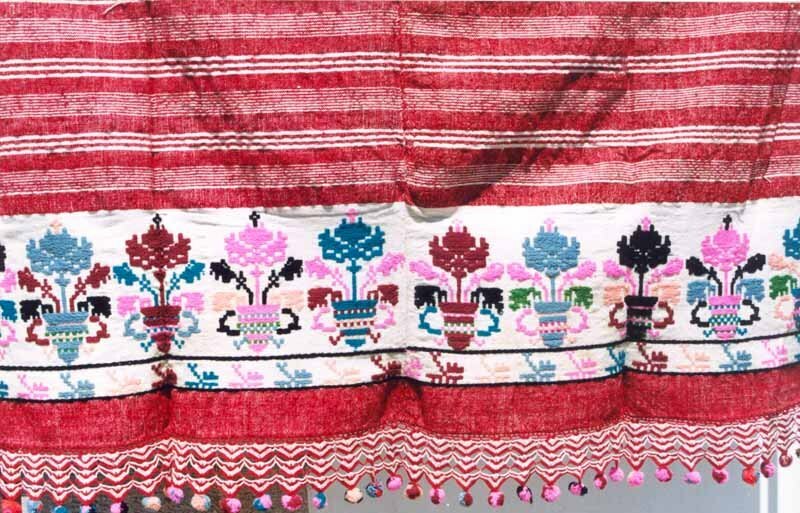 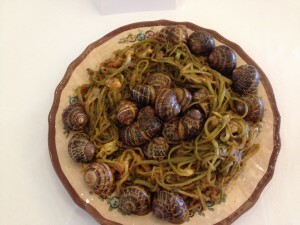 Also during summer there organized varius festivals dedicated to local products. 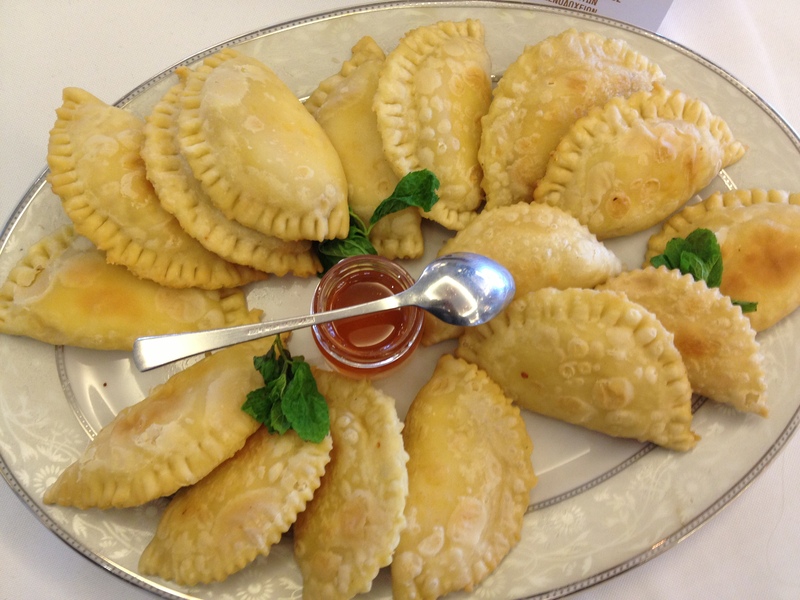 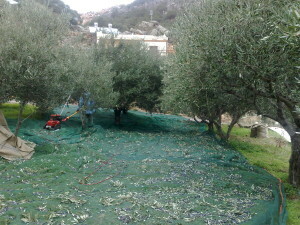 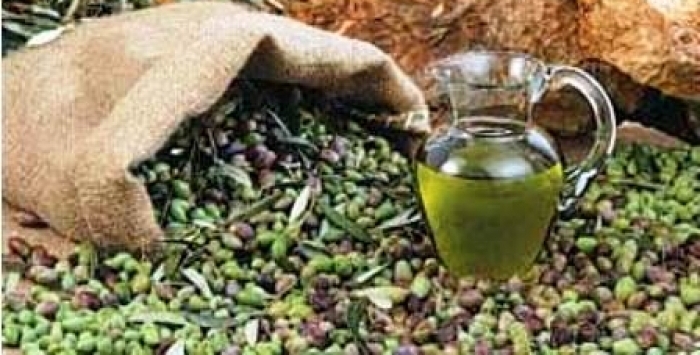 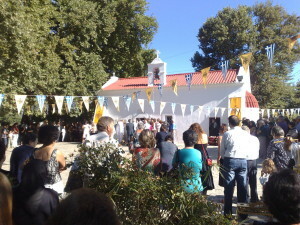 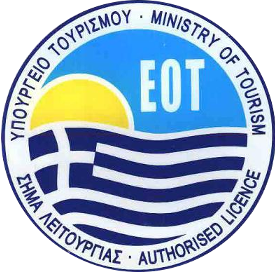 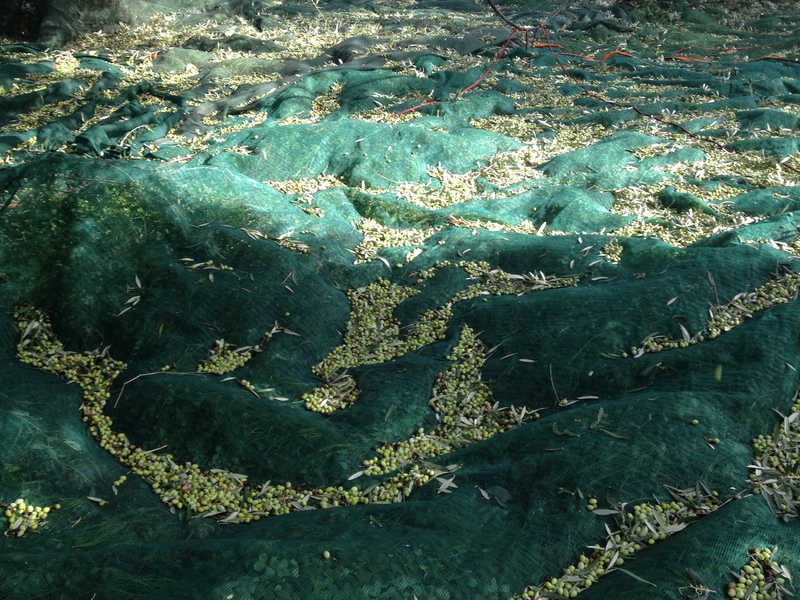 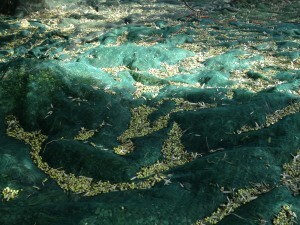 For examble the almond, ftazymo (baking) festival in Croustas and the cretan couisine – olive oil festival in Kritsa. 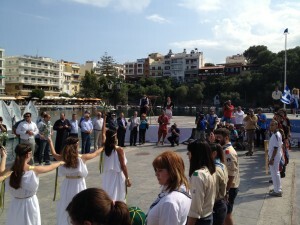 and tavernas us in the open air theater of the Lake of Agios Nikolaos. 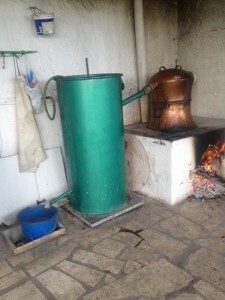 During October and November visit the local raki distillation cauldrons, become part of the villagers” company and enjoy delicious appetizers, plenty of raki and traditional music by local amateur musicians !!! 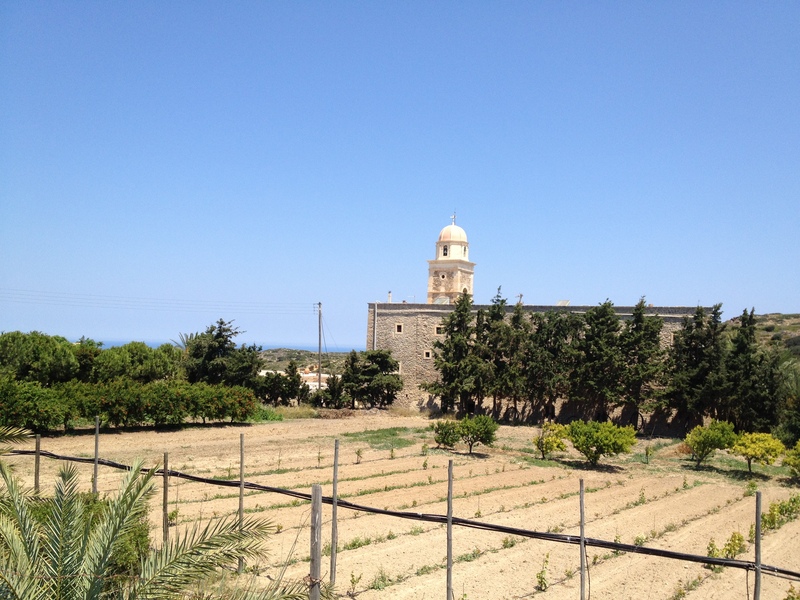 Visit winnerys and taste the varius local wines. 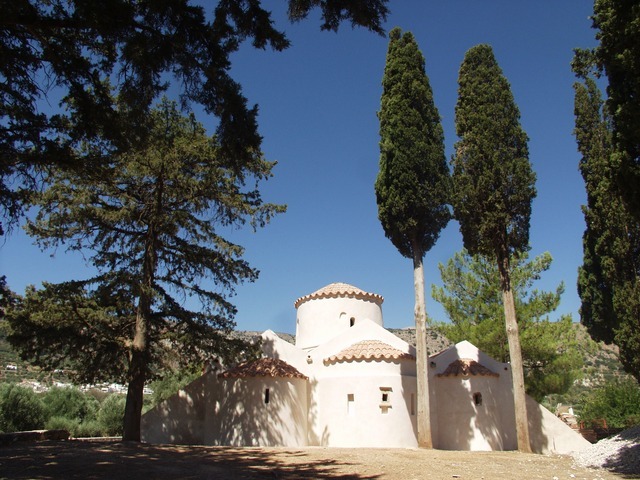 Fissi Villas is just a short drive away from Aghios Nikolaos. 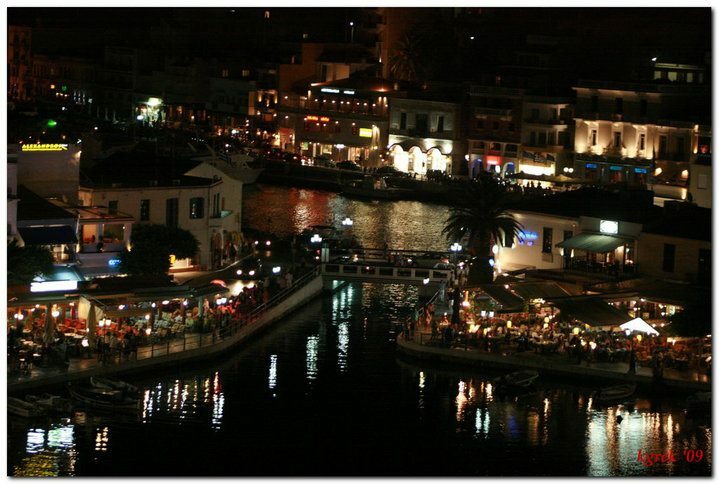 The seaside resort town of Aghios Nikolaos itself is just as lively out of season, with boutiques, supermarkets, tavernas, bars and cafes all open. 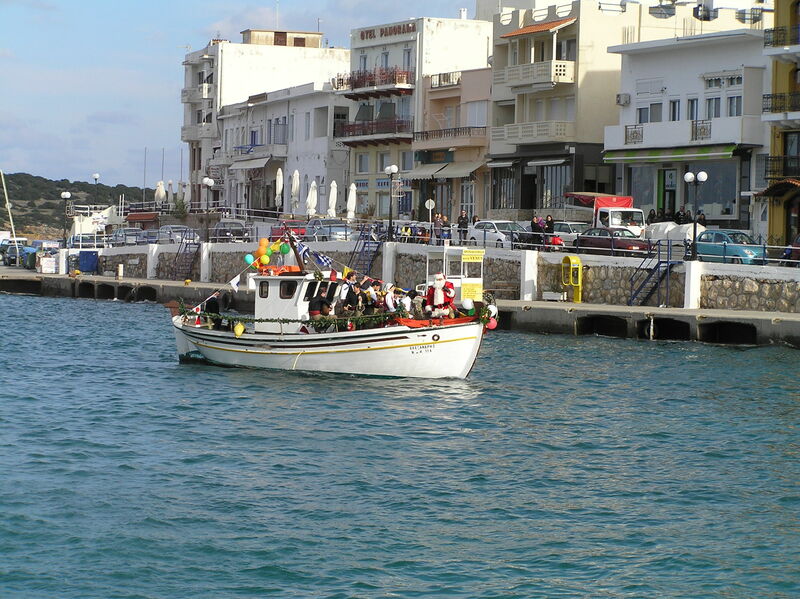 Enjoy a coffee in the square or by the harbour in the warm sun and watch the world bustle by. 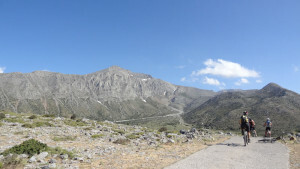 Without the extra volume of tourist traffic, driving becomes a relaxing pleasure. 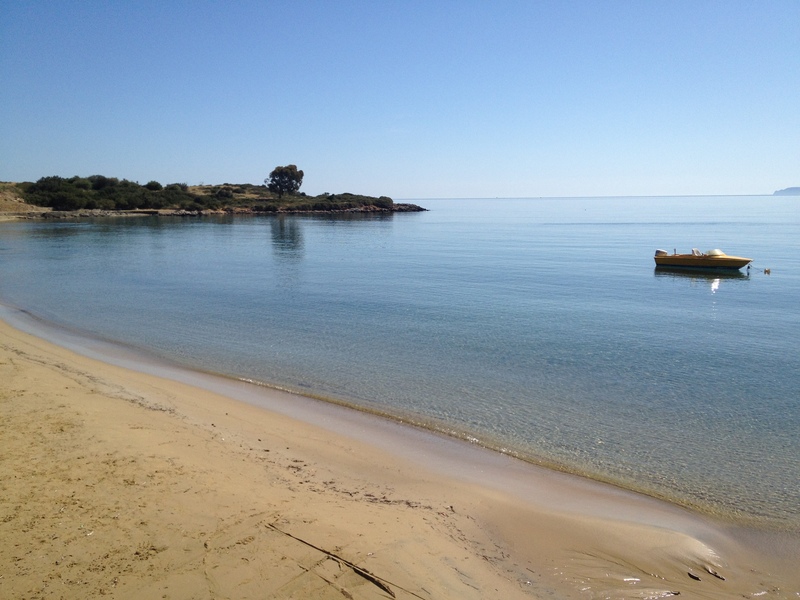 Or leave the superficiality and pressure of Christmas behind and enjoy low-key festivities in the sun. January and February can be the rainy months when short tropical showers turn streets into rivers, very soon followed by sunny and dry days. 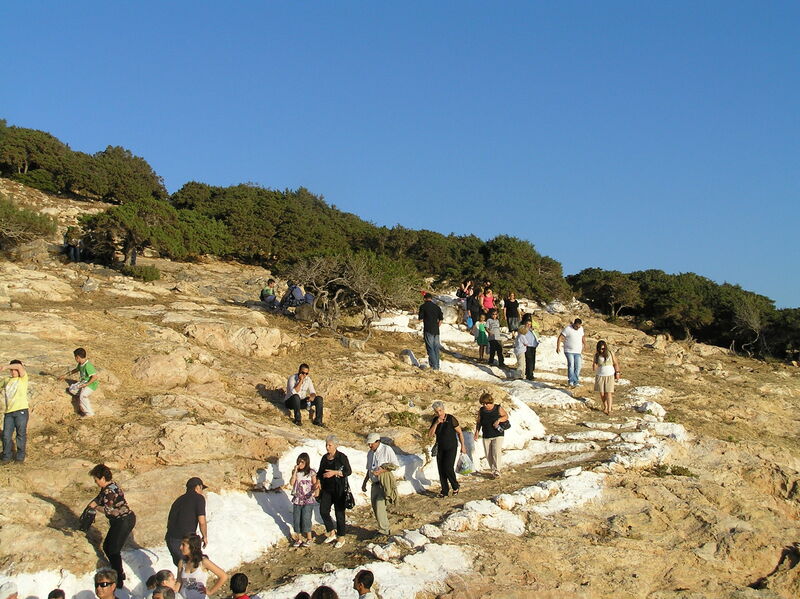 Temperatures vary from 16-23 degrees at daytime. 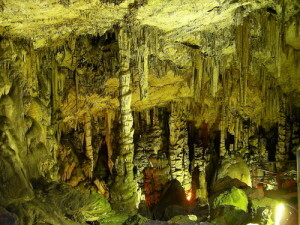 Nights can be cooler and sometimes temperatures fall to 10 degrees. 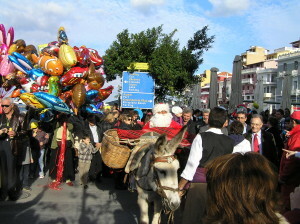 Particularly important is the celebration of the name day of the city’s patron, Saint Nikolas, on December 6 . 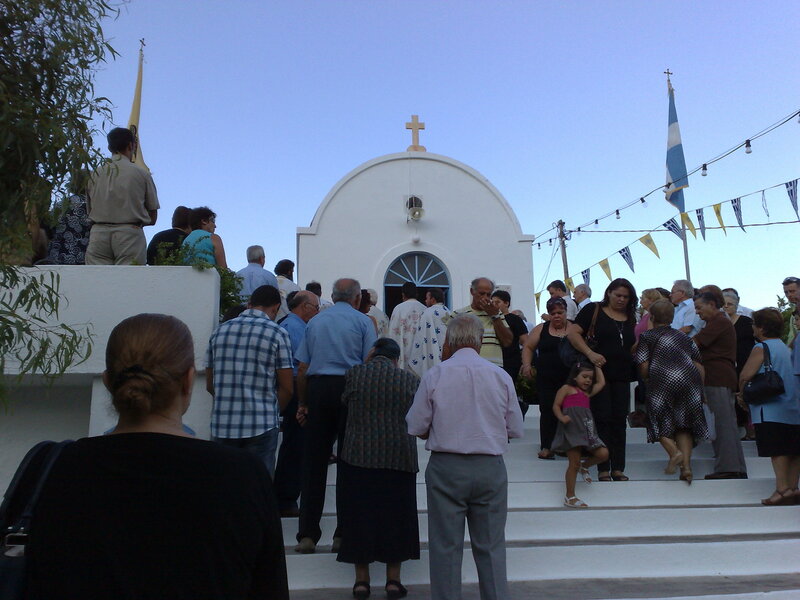 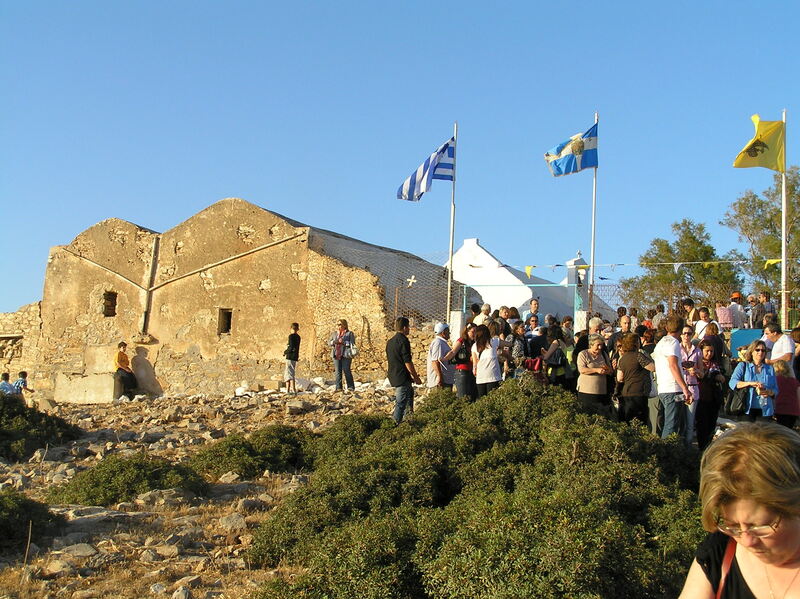 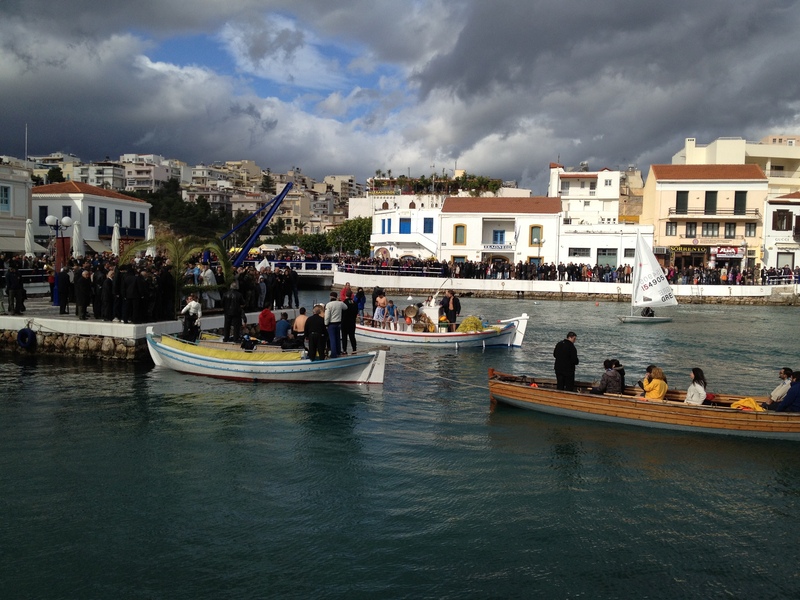 The celebration of the New Year‘s day is another impressive event at Agios Nikolaos. 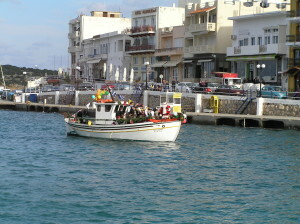 Two “kaikis” (local fishing boats) are in the port, one leaving (standing for the year ending) and the other coming in, (standing for the beginning year). Sanda Claus disembarks triumphantly, welcomed by the city officials, the municipal band and the cheering crowds and then proceeds to the main town square to give out presents to jubilant children.